When Willem van Boxsel took over the company from his father in 1999, Matrix was actually already software supplier. A collaboration that has only been further developed afterwards. "At the time, Matrix had already introduced innovative software that remained one step ahead of the competition. A lead that they have always managed to keep as far as I am concerned. From MatrixFrame we now have almost everything: member models, plate models, codechecking, you name it." Van Boxsel is very satisfied with it, although there is quite some room for improvement. 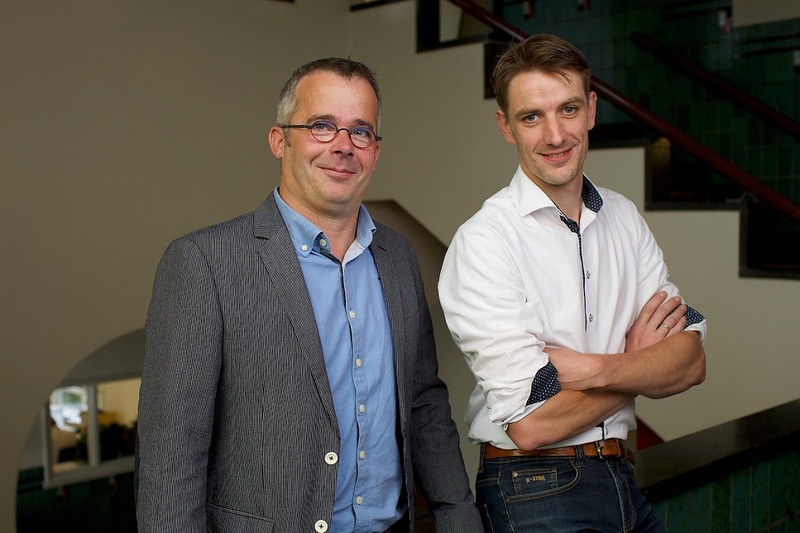 "We work a lot with Matrix software every day", says Willem van Boxsel. "Without Matrix it would be difficult to efficiently and quickly make the most diverse calculations. By hand, as in the past, that is now almost impossible. And in any case not profitable for us. Of course everyone here has a certain numerical skills, but that is more to quickly have an emotional picture with a construction. For the real details, we rely on the software. On the other hand, it creates a certain dependence. If the power goes out here, we fall silent, so to speak." Of course you can not expect Matrix to have a ready-made solution on the shelf for every specific wish or application. "That's why it makes sense for us to stay sharp and to see if and where we can innovate", agrees Boxsel. "In this way, we ourselves employ programmers who can check whether you can link Tekla to calculation software. We also notice that new employees sometimes come in with knowledge of other software; we then train them ourselves to Matrix, because the underlying mechanics is of course virtually identical. " 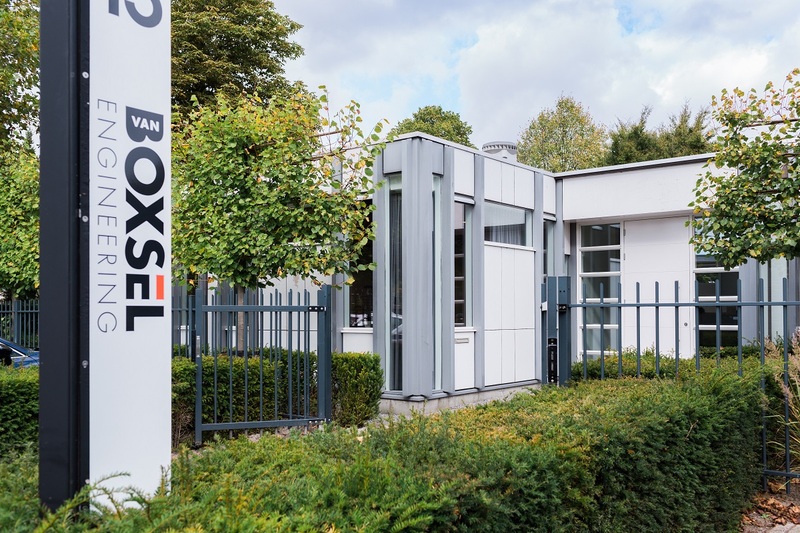 This proactive attitude is typical of Van Boxsel Engineering and reaches far beyond the company itself. To improve the image of the constructors, the association VN Constructeurs was founded. And from the very beginning Willem van Boxsel was involved, initially as one of the founders and later many years as a board member. 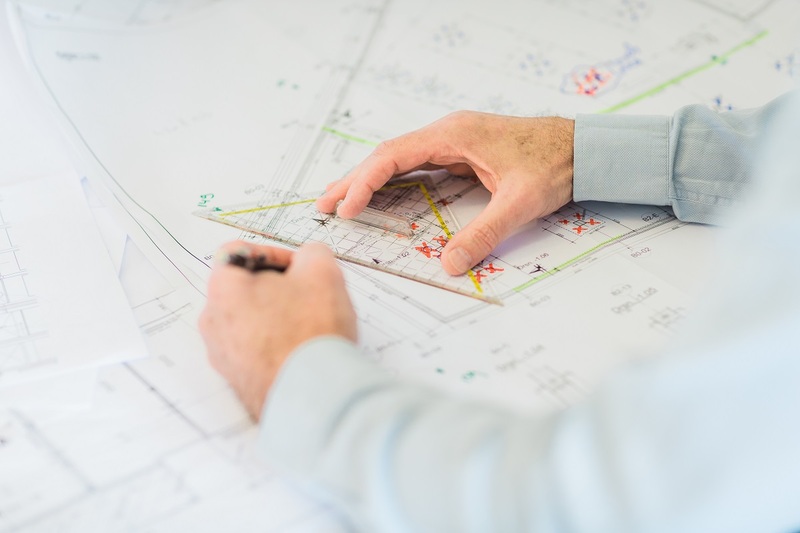 "As a constructor you play an important role to realize the building of an architect. But regularly there is a shortage of the right techies in our industry. At VN Constructeurs, this problem was high on the agenda. That is why we set up an information program for secondary schools and started giving guest lectures at HBOs. Something I still do on demand. " Recently, Van Boxsel decided to continue with Matrix. Van Boxsel: "We occasionally do a small benchmark to see if we are still in a good position. And that was so, with distance! So we are still happy with Matrix. However, there may be more instructional videos from me. Matrix does send updates, but they are difficult for us to archive. I prefer an open source document that we can easily fall back on. Incidentally, the helpdesk from Matrix is doing fine. There are people who think from technology and often have a functional solution for you. " Van Boxsel Engineering has been a professional and involved partner in construction for almost 50 years. 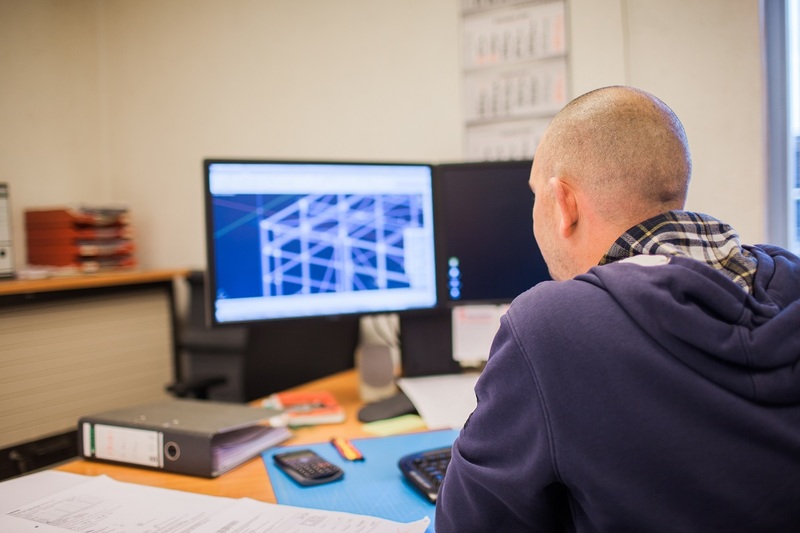 The consultants, project managers, constructors, drafters and 3D modellers work on a wide range of building constructions - with a special focus on precast concrete constructions. The work covers all phases from design, building permit, specifications to detailed engineering and realization. 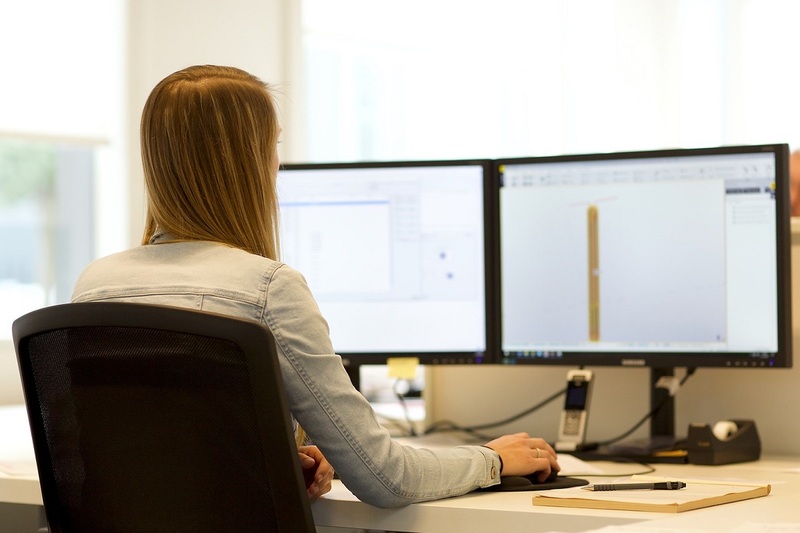 In the field of 3D modeling in combination with BIM, Van Boxsel has extensive expertise from the design phase until well into the execution phase. The company likes to use personal knowledge for an integral approach to projects in their environment. To then transfer this experience directly to the client via 'augmented reality'. This way, it can gain better insight into the project and be informed in an optimal way. Van Boxsel also has a branch in India, which serves large parts of the Anglo-Saxon market, from America to Australia. We can't without Matrix Software. John Postma can still be amazed that there are fellow entrepreneurs who do manual work that can be done with software from Matrix. 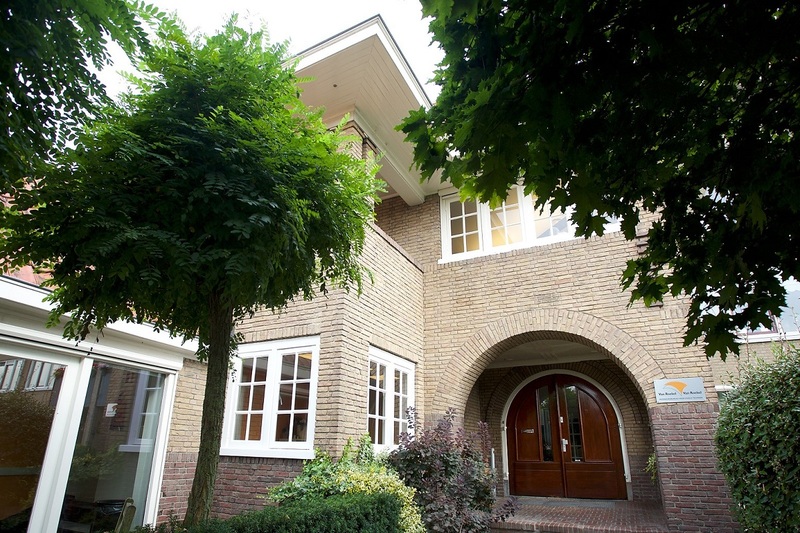 The director-owner of Wesselink Kozijnen in Doetinchem can read and write with various programs from Matrix. "And that's because we were willing to delve into it. An investment that has earned itself back twice. "According to Postma, Wesselink Kozijnen leads the way in the industry and the director would like to keep it that way. 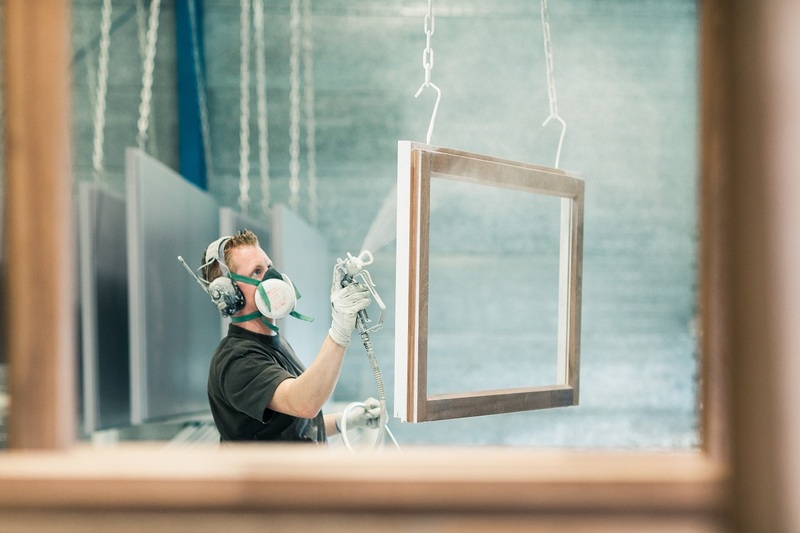 "Thanks to our top spraying workshop, we supply windows and frames in the highest guarantee class, offer a constant quality of glazing and as a member of the Timmer Select group we are able to supply the special modified wood" Accoya "which is sustainable in all respects." high-level automation. "Not as an end in itself, but because it helps us to perform good quality and efficient work." Wesselink Kozijnen uses MatrixKozijn and the connection created by Matrix of those programs with Office applications. Postma can enthusiastically tell stories about MatrixKozijn Project. "I an very interested in automation and therefore regularly check what is available. As a result, I know that just about everyone calls to have the ideal solution in-house, but that in practice it is pretty disappointing. MatrixKozijn Project is the exception, because it is really geared to practice. Whoever brings the discipline to put data in the system well and in time has a lot of fun. Quotations, orders, address details, telephone notes and links with programs such as AccountView: it's all there. "Because of the warm interest of Postma for automation, Wesselink Kozijnen is involved in the development of new versions of software from Matrix." So we have the latest version of MatrixKozijn has been extensively tested, compared to previous versions, the program has become faster again and new features have been added. That is also useful and handy: at MatrixKozijn, data entered is immediately included in drawings and calculations - with other software this is usually not the case." "There are a lot of options", Postma concludes. "I sometimes meet people who work with the same software and do not know a lot of options. That is very unfortunate. Take a moment to deepen your knowledge and a world will open up for you. "Which does not take away the fact that Postma sometimes leaves possibilities aside. "I find the links of the software with the Excel Office program handy, but automatically convert data to quotations in Word, I do not. We have our own, successful way of making quotations and I like to keep it that way. "Because no matter how useful software is, it should not lead to the users turning a uniform. Postma: "We have our own unique position on the market and we would like to keep it that way. But precisely thanks to a well-oiled automation, we have our hands free to confirm and strengthen that position. " Wesselink Kozijnen, established in the sixties and located in Doetinchem, provides façade work for new buildings and renovations. 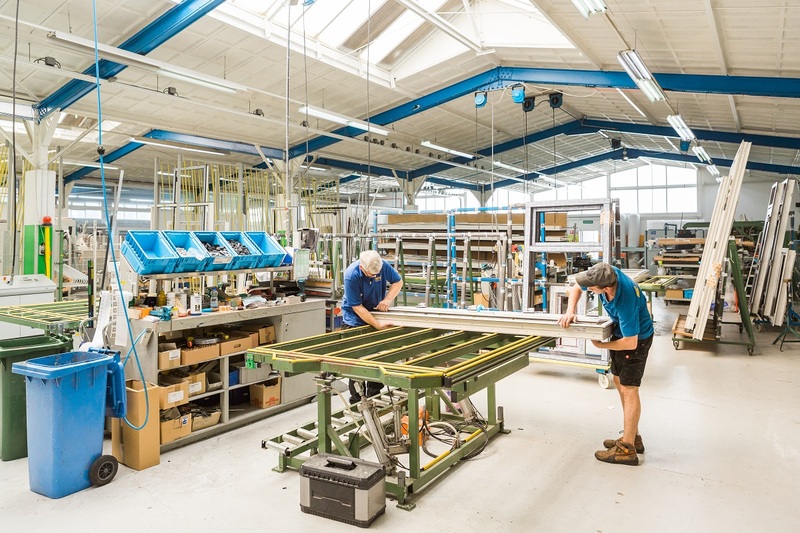 With traditional and automated machines, the company's 35 craftsmen make frames for small renovations and including large-scale projects, both in utility and residential constructions. The frames are KOMO-certified, are supplied with hinges and locks according to Resistance Class 2 and with SGT-Guarantee. 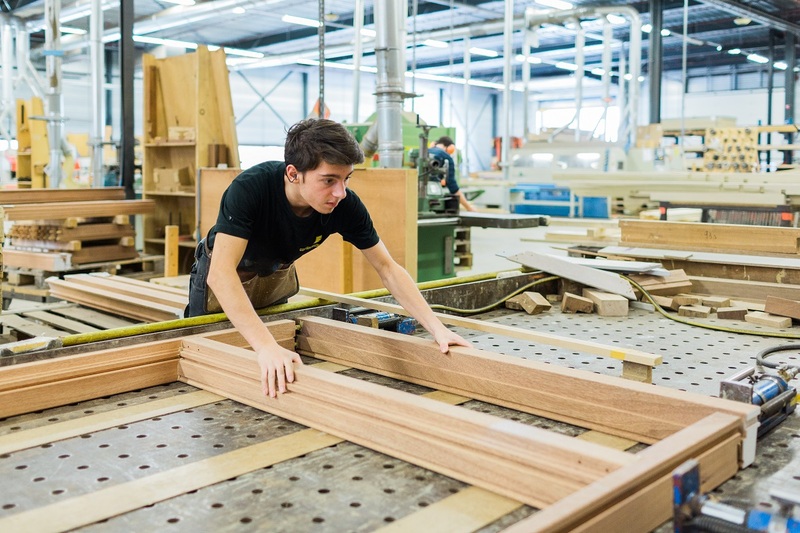 Wesselink Kozijnen is FSC-certified and a member of the Timmer Selectgroep, a group of thirteen independent companies that continuously work on the innovation of the wooden frame. For example, the members of the group use the new modified wood type Accoya which is particularly low-maintenance and is provided with the FSC quality mark. 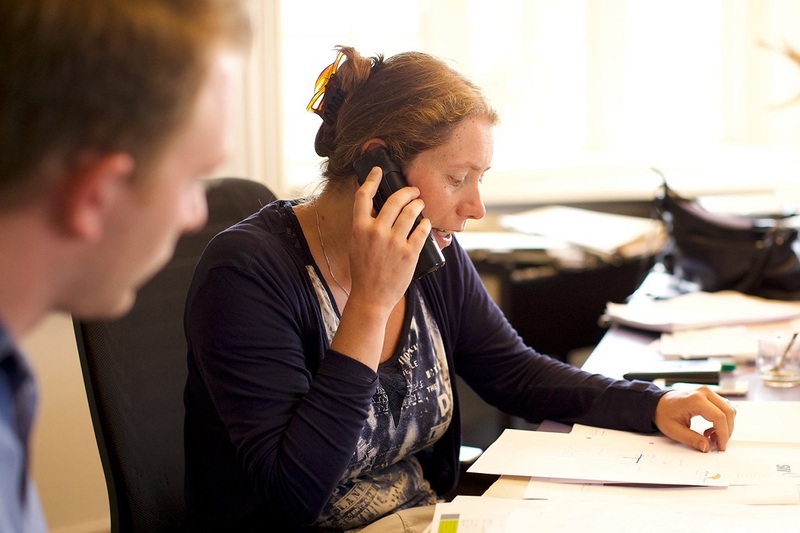 Goudriaan BV has been working with Matrix Software since 2006 for order registration and calculation. A choice where director Johan Goudriaan is still square behind today. "Matrix has really been a relief for us. We first had a DOS program, but we wanted to do that. We then compared four or five modern software packages extensively. And it soon became clear that MatrixMetaal was the most mature and most developed in our sector. Meanwhile I can say that it has always been a stable package. It just works. " Goudriaan BV currently has a license for eight users. This specifically concerns the Order Registration and Calculation modules. "That's right," says Johan Goudriaan, "we really had to take efficiency steps on those parts, we had the rest and we are under control. So we were looking for a user-friendly software package with a clear logic and not too much fuss. MatrixMetal fully meets that profile. " Both modules are mainly used to relax a number of administrative processes and to gain more insight into hours and cost structures. Goudriaan: "You have to imagine it that way. Everything starts with an application by a customer. On this basis we will calculate from MatrixMetaal: all materials and prices are already there. And the great thing is that the software automatically processes any price changes online, so that we are always up-to-date. Then we switch smoothly from calculation to order registration. We convert the calculation to a quotation and (after approval) to an order confirmation for the customer and an order form for ourselves. All from the same package, so how streamlined do you want it to be? All the hours of the drawing room, the production, the assembly, the supervision and all the purchase of materials are part of the project. Neatly in one overview. This way we can also compare our pre- and post-calculation of course very quickly! " Goudriaan does not have a link with other MatrixMetaal modules. "That has nothing to do with quality, but with a choice we have made in it. We did not want to be fully dependent on one party, but rather spread out. If something crashes, we can just continue. In addition, we work with our own graphic software with which we have been familiar for years. And that also applies to our financial package. Thanks to a direct link with Matrix, we can blow through all data in an instant, so that works fine. I do miss one thing in Matrix: the mandatory CE norm. We have to purchase from our software and a certificate must be included with every material. We now have separate software for that, but I would prefer to have it in Matrix. Knowing Matrix will also happen soon, ha, ha. " Matrix would like to end up in front of the market and implement current developments as quickly as possible, but will not overload its users with updates. "This is nicely balanced for us", says Goudriaan. "There are annual updates, but not too much. We like that, because with every update you still have to get used to it and getting used takes time. It is also not necessary to get an update for every wisp. The updates really need to be a serious improvement. And they often do that too. We always update an update with only one computer. Our 'whizzkid' then tests if and how everything works. Is it OK, then we install the update on the other computers. If we do not get something wrong, then one call to the Matrix helpdesk is sufficient to get it clear. That is rarely necessary, but it is nice that you are immediately helped! " Goudriaan BV was founded in 1969 by Gert Goudriaan and is now led by his son Johan. 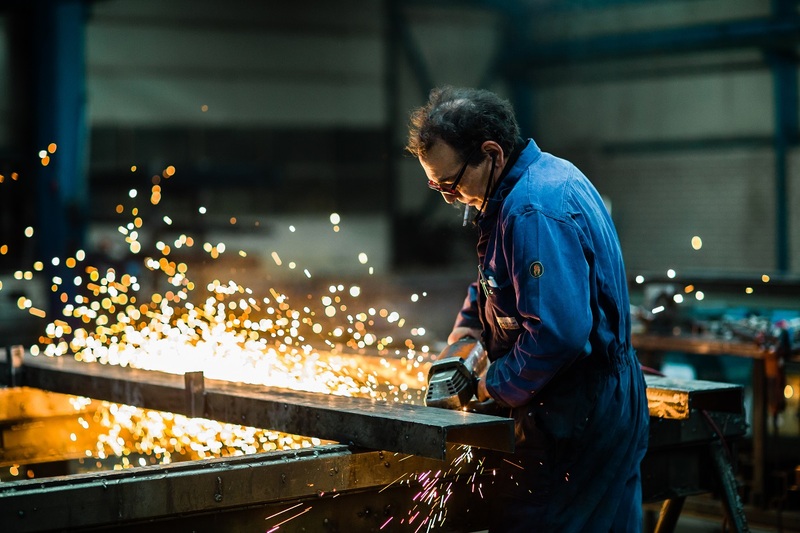 In half a century the company in Oudewater has become a household name in the steel industry, characterized by craftsmanship, creativity, innovative capacity and thinking along with the customer. 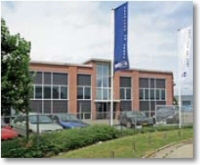 Goudriaan BV also has its own design and engineering department. Production takes place in large halls with modern machines. The supply range consists of a wide range of products in steel, stainless steel and aluminum. 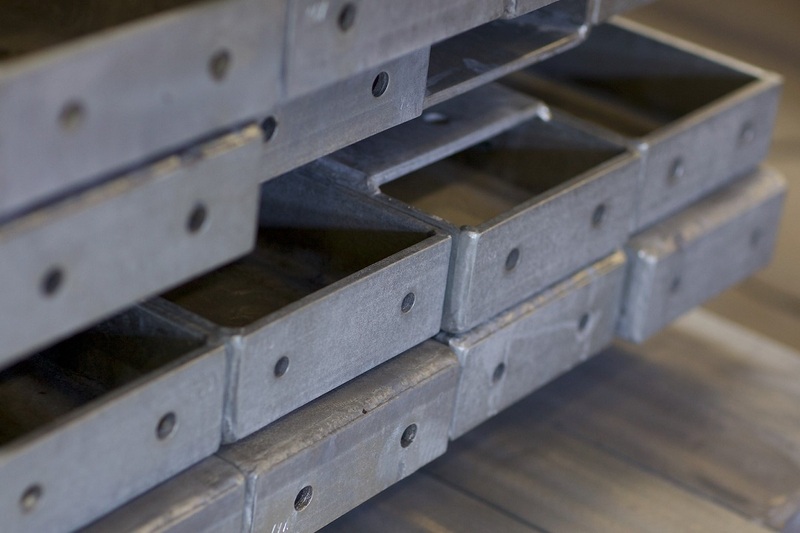 This varies from steel from stock and large steel constructions to steel stairs, fences, balustrades and sheet metal. 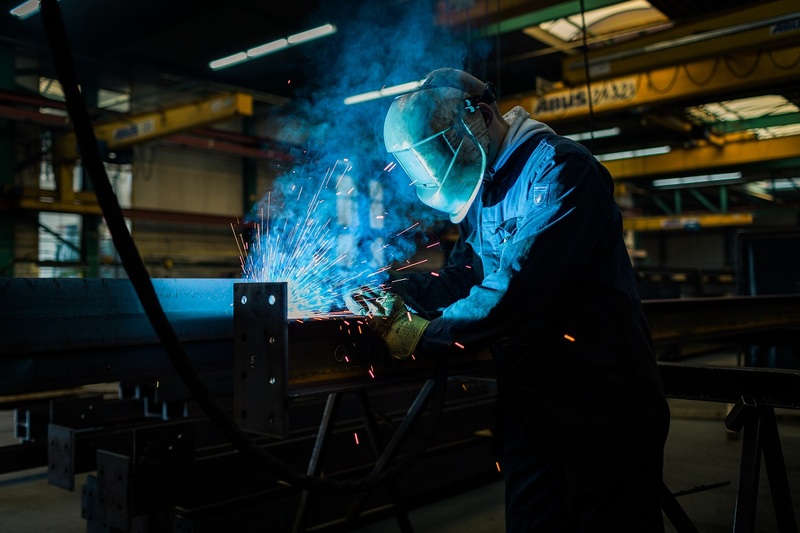 Nearly all operations are possible, such as drilling holes, welding, miter sawing, galvanizing, powder coating and spraying. With 35 highly professional employees, all knowledge and experience is available to deliver a technically high-quality product. 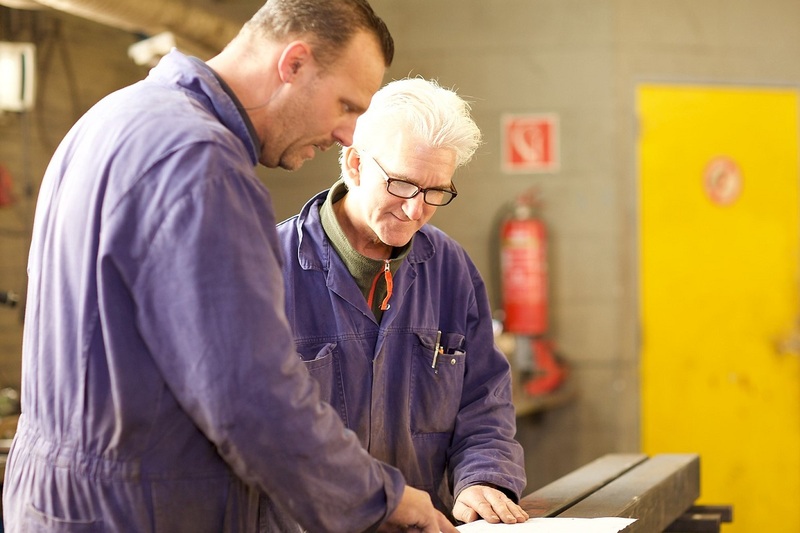 Goudriaan BV is a recognized training company, affiliated with the trade union Metaalunie and of course VCA and CE EN1090-1 certified. Advance Steel offers a lot of added value. "Why don't we use Advance Steel? ", Asked Marc Verstraten when he joined Breetec International in As, Belgium. Because with that program he had worked with at another company with great pleasure. Verstraten got green light and his employer never regretted it. Not even when Matrix Software became the dealer of the software. 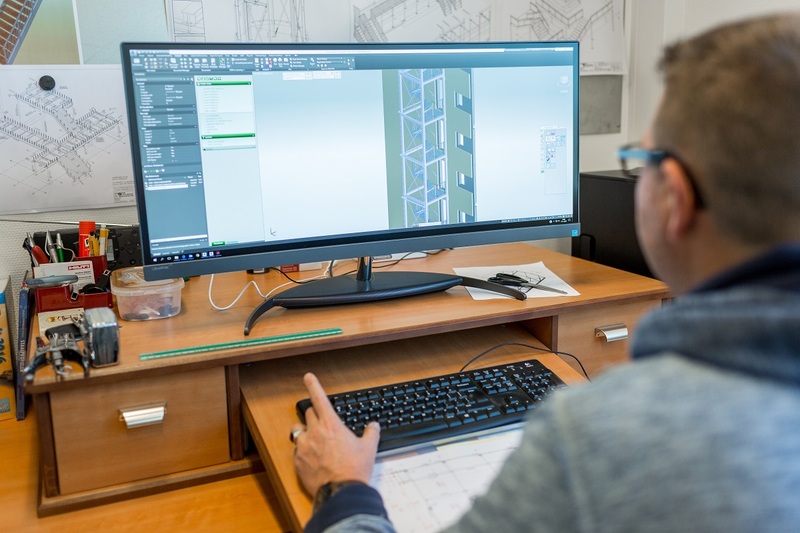 Breetec worked for the arrival of Verstraten, who is responsible for engineering and production at the company, with a standard version of AutoCAD. As a newcomer, he quickly discovered the shortcomings of that program. "I missed the things I could do with my previous work with Advance Steel and now no longer. 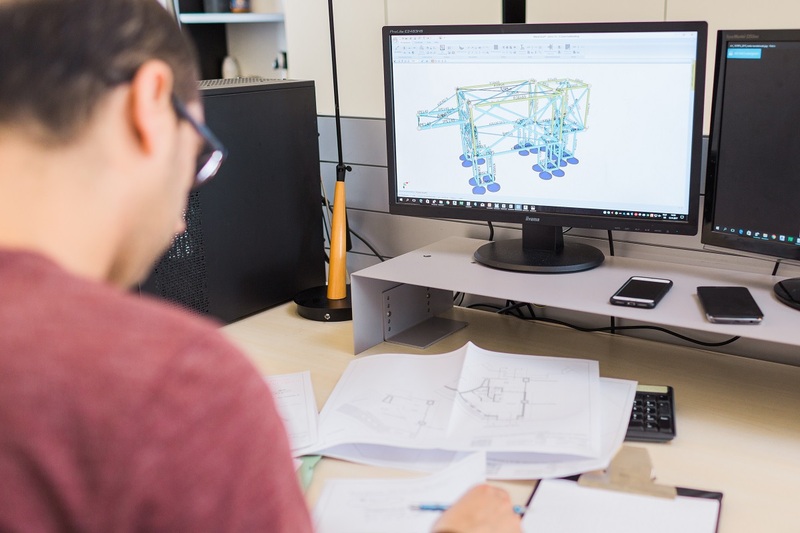 Working smoothly in 3D, creating connections, generating lists, quickly creating 2D parts and having calculation work done automatically for example. With Advance Steel, that was all possible. With these functions, Breetec could save itself a lot of work and therefore money. " With that promise, the switch was quickly arranged. Verstraten has been working with Breetec for over fifteen years. "Modeling in 3D is very easy. Standard connections can be called up quickly and can then be easily adapted. The software can also easily be set up on company-specific matters. Even more important; when the model is ready, everything is ready. You do not have to do a lot of calculations afterwards for the employees of production. That has already happened. And if you want to work out details at a detailed level, that is a fraction of the work that was needed in the old program. Our assembly colleagues can quickly get started with the drawings we make. 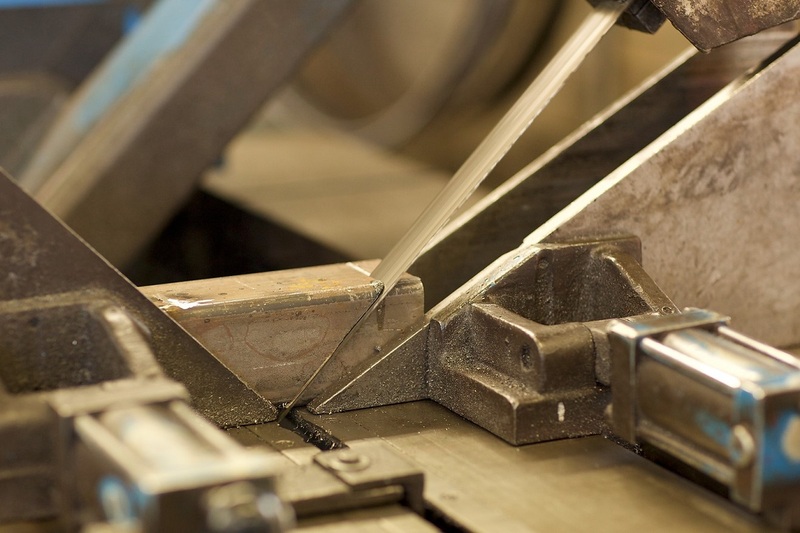 "When Breetec opted for Advance Steel, Matrix Software was not yet in the picture. "We then had to deal with another dealer. As a customer you are more or less forced to make the switch to the new dealer, Matrix Software, but I am very happy with it. The helpdesk is really much better than that of the previous dealer. Matrix has quickly deepened itself in the new software and assists us with advice and action. I myself have not been able to experience how Matrix functions as a trainer, because I already knew Advance Steel and did not need a course. But recently a colleague of mine followed a course at Matrix. He was satisfied with it and will soon be working with Advance Steel. " Working with Advance Steel has a nice side effect for Breetec and other Belgian companies. "Companies that work with the software have a lot of contact with each other. That is handy, because that way you can exchange some usage tips. But those contacts have also led us to get to know each other's companies better. And thus we can sometimes outsource work to each other. It has not started, but it is nicely included. " Breetec International NV, located in the Flemish Axis, is a supplier of safety valves, constructions and sheet metal in aluminum, stainless steel and steel, aluminum flanges and fittings. The company has a large team for assembly and maintenance work. For clients, Breetec provides both engineering, production, logistics, assembly and maintenance. Quality, safety and training are the most important pillars in business management. 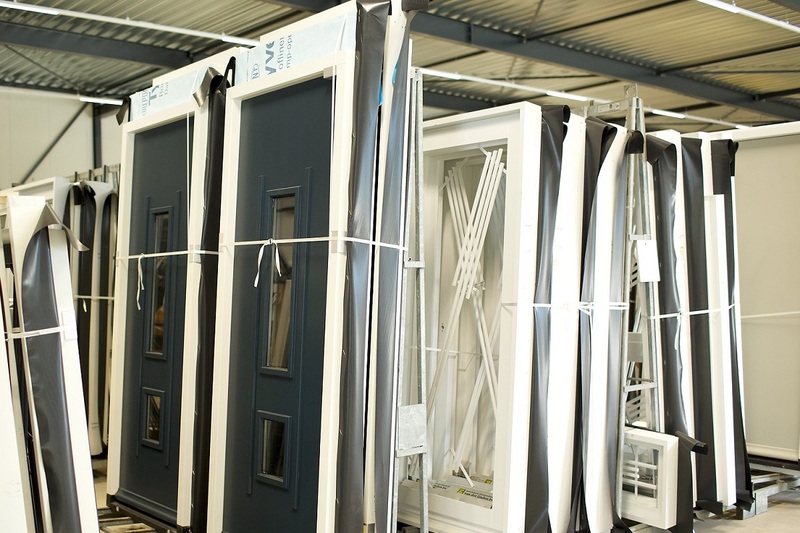 It is a special combination that Van de Vin Windows and Frames has made with regard to automation: on the one hand the company only works with software that has been proven in practice, on the other it gives direction to the development and the company tests the latest versions of software. "This way we ensure that we are in charge, that we use automation optimally," says director Mathee van de Vin. Van de Vin has been chairman of the Dutch Association of Windows and Frames and also knows the branch well from that position. For example, he knows that the switch to new software for producers of windows and frames is no sinecure. "Think very carefully before you choose", is his advice. "Because once chosen it is difficult to still change the beacons." Van de Vin himself chose Matrix Software in 1988. He still knows how it went the day of yesterday. "The company had acquired the first PC two years earlier. In 1988 we were one of the first users of MatrixKozijn, the program with which we made calculations and streamlined the work preparation. It was then very much getting used to. All of a sudden, data had to be entered in detail. The time that you made an offer based on intuition was suddenly over. "At that time, Van de Vin was mainly concerned about getting accurate information about more and less work. Soon it turned out that there were many more benefits. "Thanks to MatrixKozijn and Matrix's time registration system, the chance of errors and failure costs has been reduced significantly. We also save a lot of time, although we find it so common that we hardly consider it an advantage. "Time has not stood still. Van de Vin has recently switched to a completely new machine park. "Such a switch can be a reason to look at what else is on the market, but we have never seriously considered this consideration. We are very satisfied with what we have and that is not only due to the functionality of the software. The company that supports it is also important. Matrix Software is a stable, solid company with employees that we have pleasant contact with. " Van de Vin Ramen and Kozijnen in Heeze works from the realization that windows and window frames largely determine the atmosphere of a home. 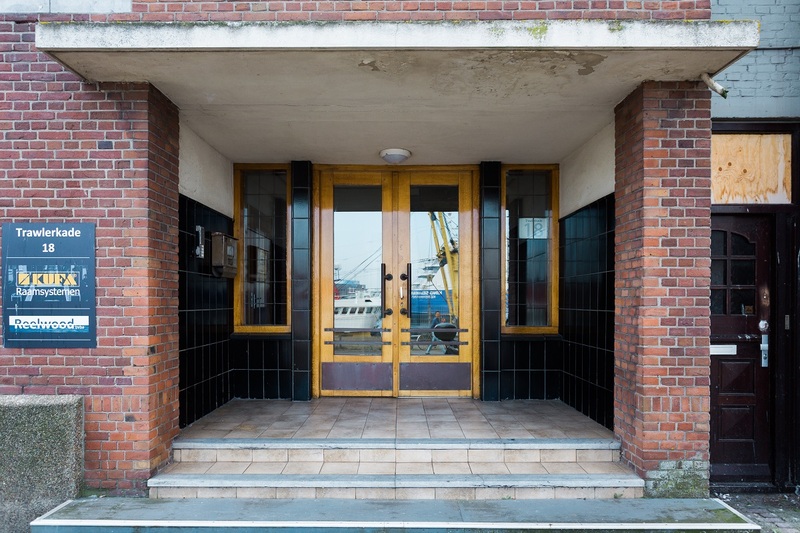 The company has been producing windows and frames for more than fifty years and is regarded as a 'total solution' in that area. Van de Vin supplies products thanks tot strict process and quality control. It is produced according to a proven method, of which the quality assurance system has been developed together with TNO. This system offers Van de Vin, together with an advanced machine park and advanced automation, the possibility of further innovation. 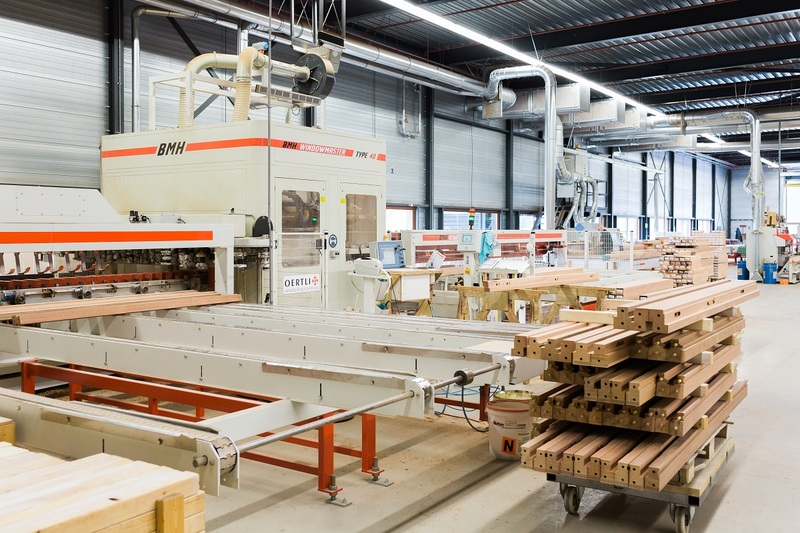 Mechanical carpentry company Van der Linden and Matrix know each other through and through. 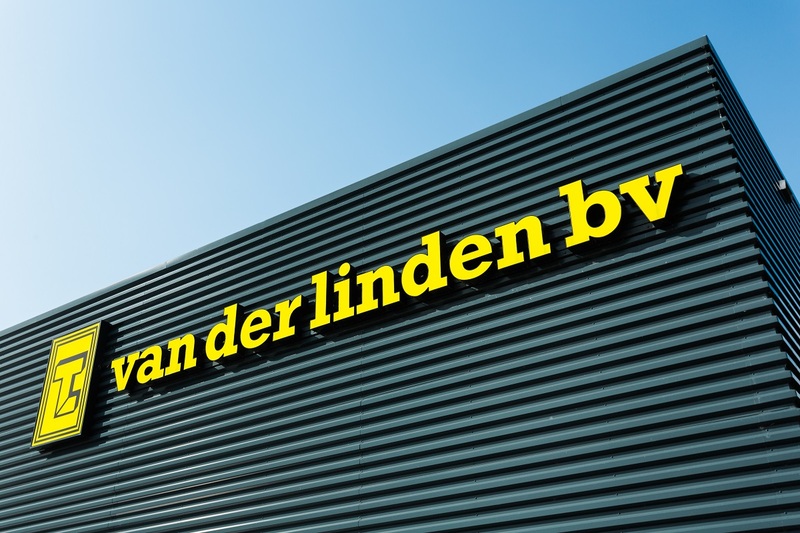 When Van der Linden started to automate more than 30 years ago, the choice on Matrix. 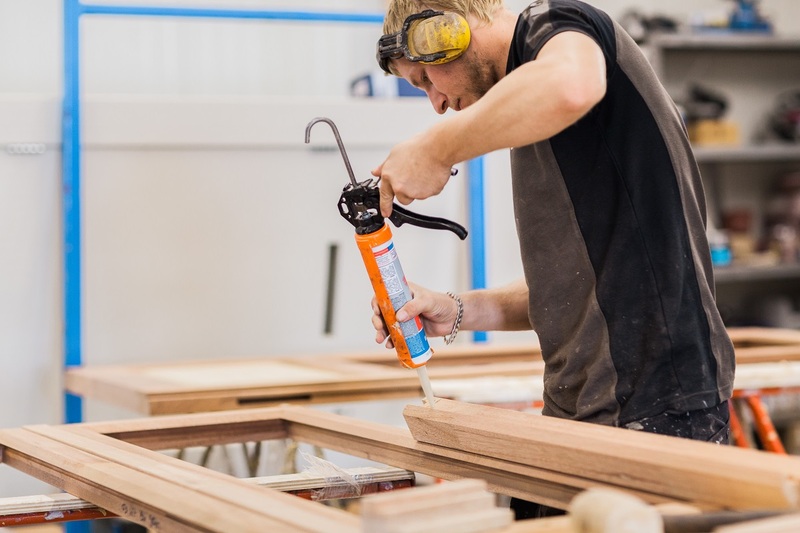 "We would like to show that the carpentry business is still in full swing development is without losing the charm of the trade. Of each carpentry challenge, we create craftsmanship. The question we always ask ourselves: "Would we also make it like it was for ourselves?" Because with less than it we just do not take pleasure. That also applies to the materials, the machines and - yes, the software we use. " 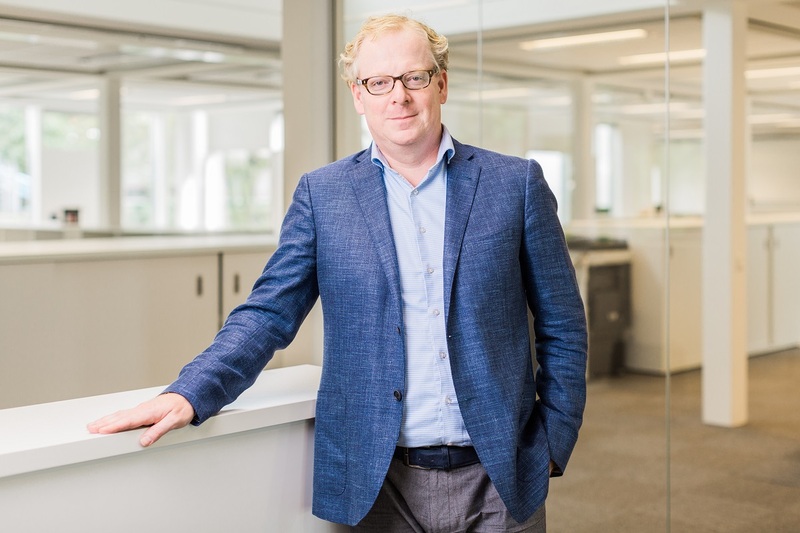 For director Jochem van der Linden it is not up for discussion: "Without smart software you can no longer exercise this profession. You always have a sequel software needed to make calculations. And for that choice are not determine only the objective possibilities, but also where you feel the best you have. Software requires a serious investment in both time and money. You therefore choose a supplier for a longer period of time. " Van der Linden works with MatrixKozijn and is very enthusiastic about it. "Calculation, work preparation and drawing room, they can all be done with the software to work. For us the most important functionalities are in it. The links are logical and efficient, so that we can save a lot of time in that area. Moreover, we limit the error margins of all kinds of technical calculations to one minimum. In short, it means that the software converts our calculation to an order confirmation and then to the work preparation. Via extra modules we can then transfer the required data to the machines. " Of course there is always something to be desired. "A matter of giving and take it ", says Van der Linden. "We sometimes encounter situations in which MatrixKozijn is not completely foreseen. It stays with slanted and round frames still difficult to technically get the drawing right. For example, if we have one draw a framework and hang a floodfill, you have to meet certain conditions meet. Otherwise you have a problem with glazing beads and the like. The solution is to manually add the relevant data. So via We do get everything that we do, but I think it is still here opportunities for Matrix. We know that the renewed module for arched and round window frames will soon appear. We expect a lot from that. Matrix regularly provides updates to be constantly up-to-date stay. "We install it as quickly as possible," says Van der Linden. "Already stick sometimes there are childhood diseases. Often it is a generic problem, that Immediately grasp the matrix in 95% of the cases and have it followed by a new one update. In general, the updates are clear enough and we do not have any training needed. Otherwise we call the helpdesk. There are people who are very well know what they are talking about. " Mechanical joinery Van der Linden is a no-nonsense family business, that is already since 1974 commitment to perfect and beautiful carpentry. Quality always stands first and foremost, the bar is high, whether it concerns complex customization or series work. From der Linden works with passion for both contractors and private individuals. Because all more than 20 employees are all-round professionals, the company has few limitations in its product range. The assignments therefore vary from window frames and doors to stairs, dormer windows, fronts, (folding) walls, fencing and more. At Van der Linden go hand in hand with entrepreneurship and craftsmanship. On the one hand it ensures high-quality machinery for unrivaled accuracy. On the other hand still manages the entire team of professionals always the old-fashioned craft. The result: carpentry where Van der Linden is proud of. 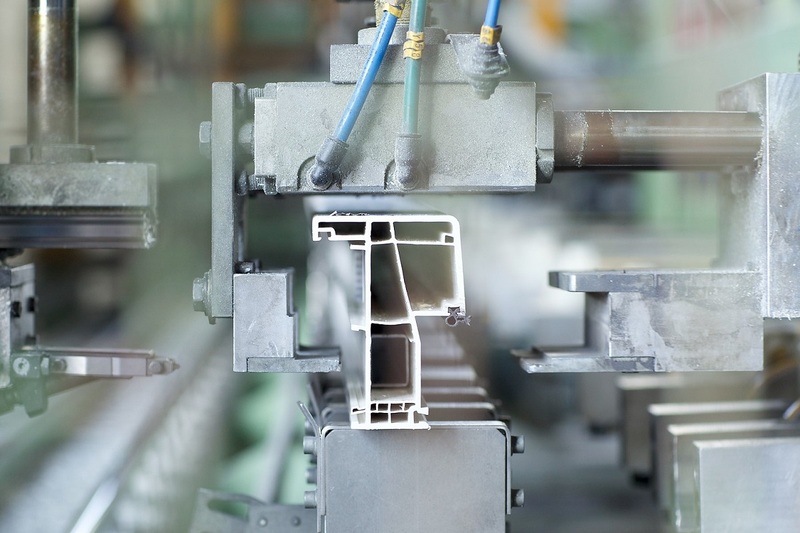 Developing software for the window and facade industry requires more than software skills. "That's what I like about the makers of Opticalc: they understand window frames," says director Ed de Groot of Kumij in Groningen. The company has been using the Opticalc software for thirty years. "I'm guessing that we are just about the oldest customer using Opticalc," says De Groot. "From the start we were enthusiastic about the software. We only had one concern: the software was delivered and maintained by a very small company. That is exciting. What if something happens to one of the key people? But now Opticalc is supplied by Matrix Software. We have the best of both worlds: the whizzkids from that time are still behind the software. And with Matrix there is a robust, solid organization behind. "Opticalc automates all departments in both trading companies and production companies, such as Kumij, with one totally integrated solution. The company supports companies from quotation request up to and including financial reporting. It is a so-called open system, so that virtually every database can be used. What De Groot really likes is that "the makers of Opticalc know what window frames and doors & windows are. I do not have to explain to a developer what a water slot is. He understands that right away and then asks me "And at what distance do you want to have the slots?" And that's how I am talking to a doors & window expert. "The director sometimes admits to other programs. "But our window frames are so specific, that did not fit into the framework of that software. Take the fact that our window frames rotate in and out - only Opticalc can handle it properly. "Kumij uses modules for design, calculation, work preparation and production. Precisely the integration of all these components offers advantages. "It makes production efficient, prevents mistakes and keeps costs down", says De Groot. It is also pleasant that the software can be integrated into other programs. "Opticalc is very user-friendly for our technically oriented employees. I understand that a layman can do very little with it, but anyone who understands window frames can read and write with it. " 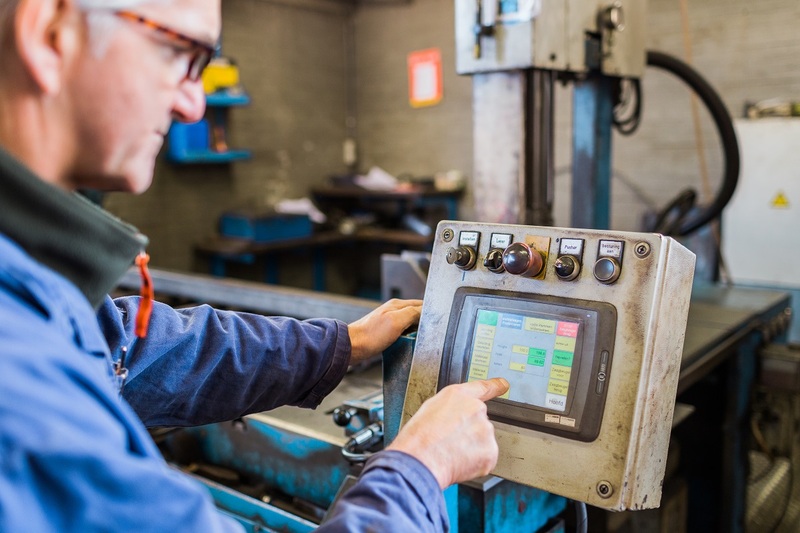 Matrix Software currently provides for the connection of the software to AX Dynamics, the ERP system for which the Rollecate Group (which Kumij is part of) chose. In addition, Matrix cut the software when it comes to purchasing new machines. "We went around the table with the machine builder and Matrix. As a result, the software is precisely tailored to those machine lines. "De Groot is just as satisfied with Matrix as about the software. "It is organized tightly and customer-friendly. Also important: Matrix continues to invest in the software. This is necessary because our company and technology change continuously. And so we are looking for a partner that changes with us. " 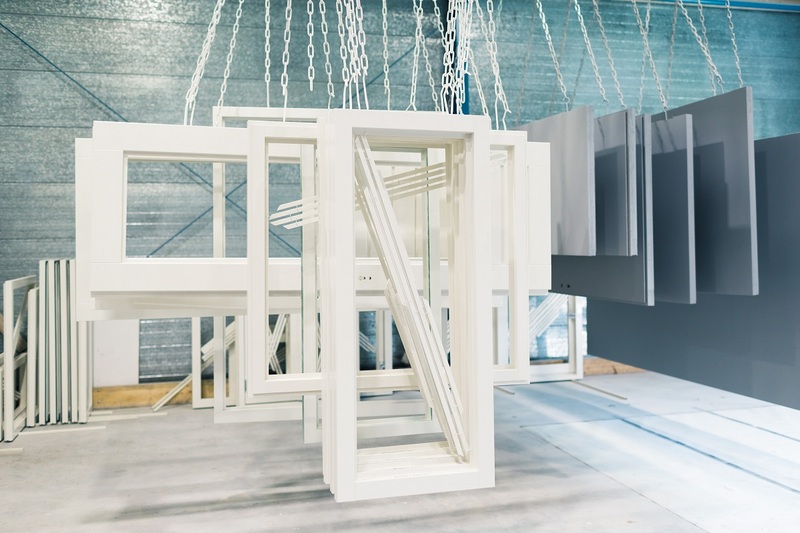 Kumij is based in Groningen and is part of the Rollecate Group, a leading manufacturer of plastic frames, which supplies and installs its frames throughout the Netherlands. The high-quality plastic frames are used in renovation and new construction projects for housing corporations, contractors, architects and owners' associations. 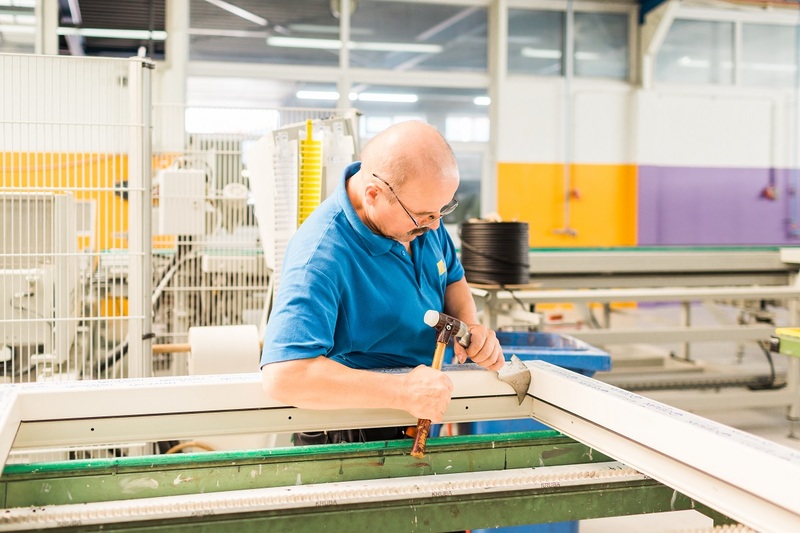 Kumij's flexible project organization has more than 120 employees and has more than 55 years of experience in providing customized solutions in the area of window frames. Attention is paid to profiling, detailing and construction, but also to building coordination, residents' information and delivery. The roots of Joosten Staalbouw are in a distant past. For over a century, the proud family business was run by the Joosten family. In 2016, Paul Veldman took over the baton as director, but he simply continues the name and tradition of the company. This also applies to the Matrix software, with which Joosten Staalbouw has been working satisfactorily for about ten years. 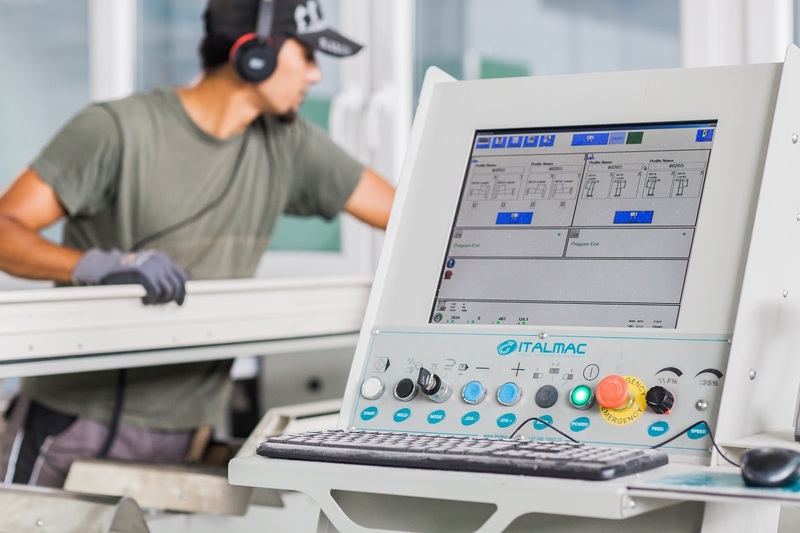 "As far as we are concerned, MatrixMetaal offers exactly the right mix of functionalities," says Veldman, "which means that our entire production process clearly gains in speed and efficiency." MatrixMetaal has been developed especially for providing steel constructors with smart tools from drawing to order confirmation. You can combine all those tools, but you can also be selective. Veldman: "For us, order registration and calculation are the most important functionalities. These form the axis of every project. In addition, we use Autodesk Advance Steel for the working drawings. Based on these working drawings, we make a calculation in Matrix. This is translated into a quotation and eventually converted to an order confirmation. It is only important to enter the basic data from the working drawing into the calculation. After that it is a piece of cake. " 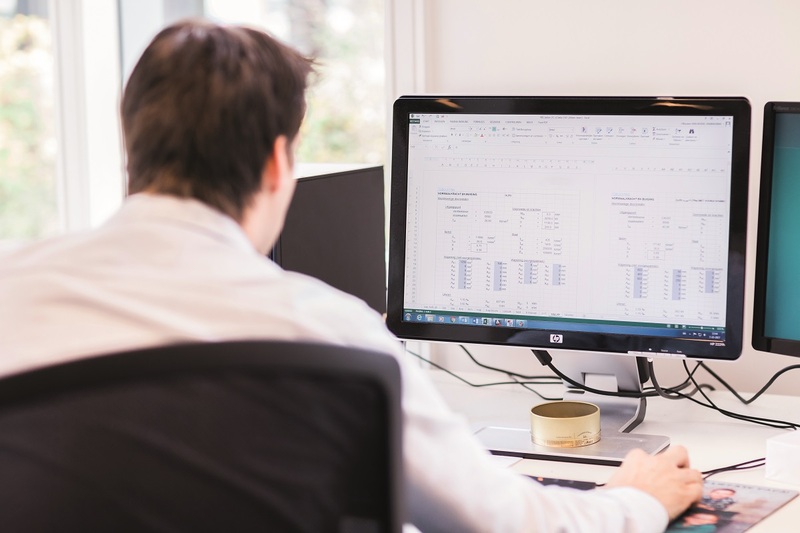 For Joosten Staalbouw, it is also important that the costs and revenues per project can be accurately monitored. Veldman: "Put simply, we buy steel and we get to work on that. So when we enter all purchase invoices and working hours into the system, we immediately have an excellent insight into how the project is running. Thanks to that daily source of information, we can constantly keep our finger on the pulse and adjust it as soon as necessary. As far as we are concerned, Matrix's software is more than complete, we can put everything into it and everything works. " Yet the question arises: does Joosten Staalbouw get everything out of Matrix that is in it? "Actually not," Veldman acknowledges, "but that is also conscious. Less is more, is our credo. 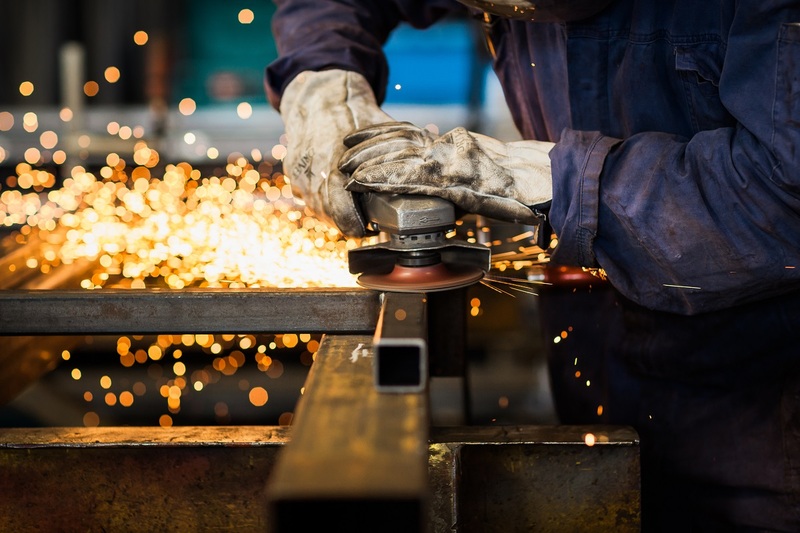 We do not work with automated machines, welding robots and the like, we do everything by hand. You could call us a glorified forge and we cherish that for the time being. It fits with the assignments that we usually carry out. We make small, unique products entirely in-house. And in repetitive work, for example for halls, we sometimes outsource something to colleagues. Controlling CNC machines from the software - which in principle is possible - is therefore not an issue for us. We do not use Matrix for planning either; we are small enough to do that old-fashioned in Excel. But I can imagine enough situations in which the planning module is just a godsend! " Matrix offers ample opportunities for personal instruction and training (internal or external). There is also a professional helpdesk. "We know that, but we rarely use it", says Veldman. "The software components that we use on a daily basis have no secrets for us. We can handle it perfectly, because everything is perfectly logical. We do not have much contact with Matrix, but that is not necessary. The few times we call the helpdesk, we always get a clear answer. We have also provided some constructive criticism. It is our experience that Matrix usually does something about it quickly. " What started as a smithy a century ago, has developed into a modern construction company with more than 20 employees, especially in the last few decades. 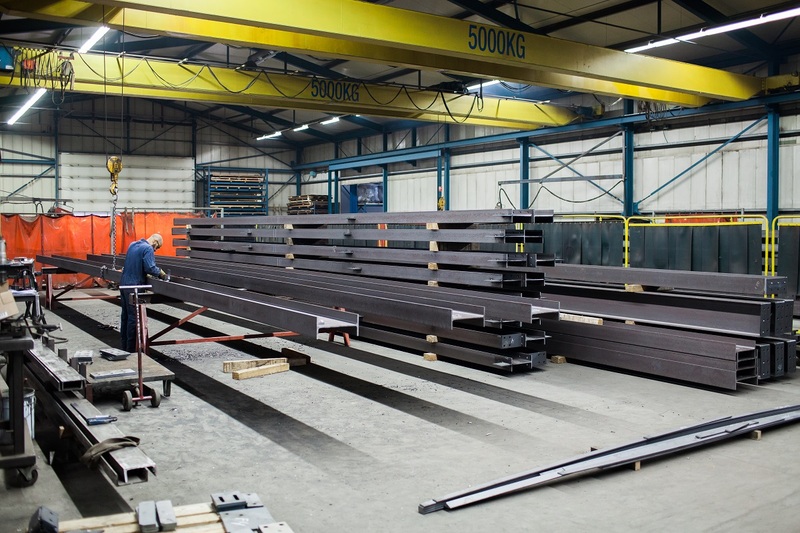 Joosten Staalbouw specializes in the manufacture and assembly of steel constructions for non-residential construction and industry. The company also produces the associated parts such as stairs, platforms, handrails and fences. Very varied steelwork is tailor-made for residential construction. 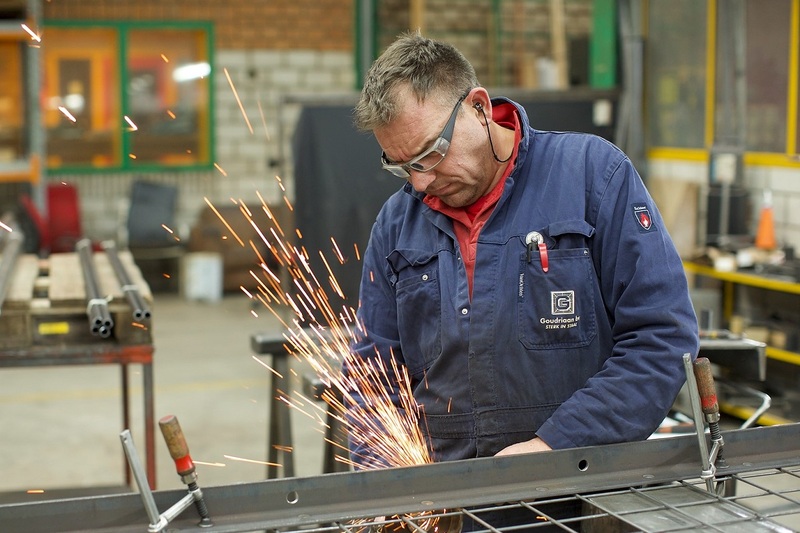 At Joosten Staalbouw, craftsmanship and perfect end result are central. The company is VCA * -certified and all production and assembly workers are certified according to the welding standard NEN-EN 287-1. 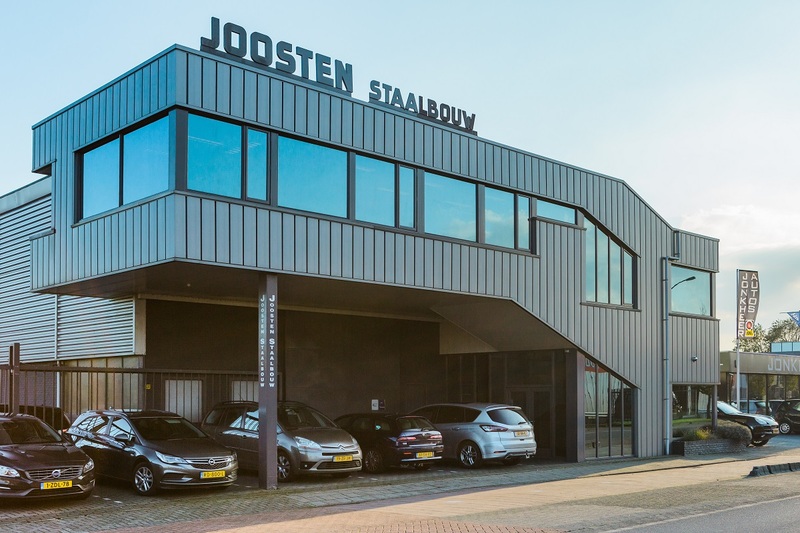 For customers, Joosten Staalbouw has a number of certainties such as: one point of contact from tender to completion, a customer-oriented and flexible mentality, short delivery times and punctual schedules. Joosten Staalbouw is also socially involved and sponsor of Médecins Sans Frontières, Wouters Sportfonds and Weeshuys Aceh. "Everything revolves around cooperation between project manager, structural engineer and draftsman", according the VeriCon website. The basis of this good cooperation is a solid design. 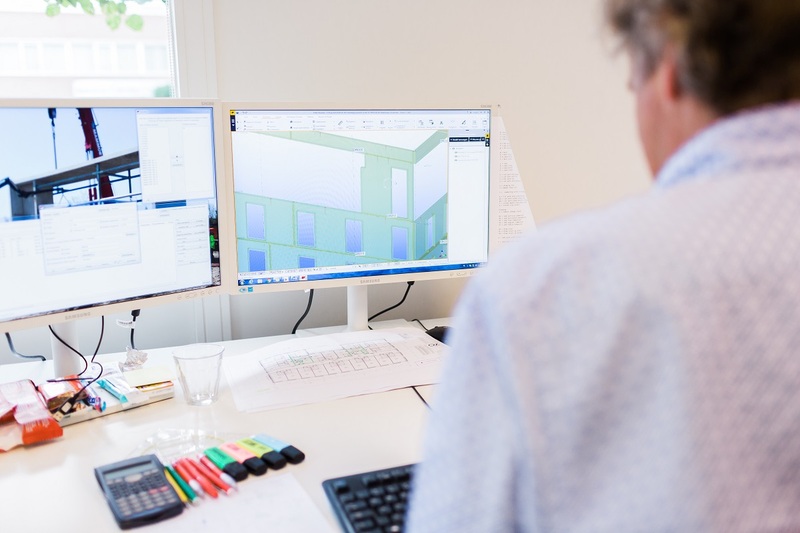 "For me, choosing Matrix software was logical", says Jos Hoonhout, director of VeriCon. "I have not regretted that choice for a day!" More than 20 years ago Hoonhout took the step: he started his own structural consultancy firm in Veldhoven: VeriCon. His plans were ambitious: employing twenty-five employees within five years and playing a significant role in the 'fight market' in which VeriCon operates. Good software is indispensable in this. "Just like trust," says Hoonhout. "Jan Willem Fokkema, from the very first hour my contact at Matrix Software, immediately had every confidence in my ambitious plans. He made sure that I did not have to worry about good software programs. " Hoonhout already knew the company Matrix, but had never worked with their analysis programs. "At my previous employer we worked with Technosoft software. Great software, but Matrix's fits better with my company because Matrix does more development. "A very nice extra that really works for Hoonhout. But at the time, five years ago, one of the main reasons for choosing Matrix was the start-up arrangement. An arrangement that allows him to buy the software that he needs in phases. "Ideal, because I did not have to invest a large amount immediately while still using the most advanced calculation modules. The software grows in this way with my company. "VeriCon has since grown into a major player in the building advice market. And the goal of twenty-five employees has also been achieved. "We distinguish ourselves briefly because we are integrating innovative solutions for the design into the structural design. In addition to the usual information that you can expect from a design, we provide the customer with additional information that he benefits from. About constructive elements and construction materials, for example. "To be so innovative, the software must also be of that kind. "Matrix's software is flexible, clear and it works very well. Fits perfectly with our company philosophy. " VeriCon also develops software itself. 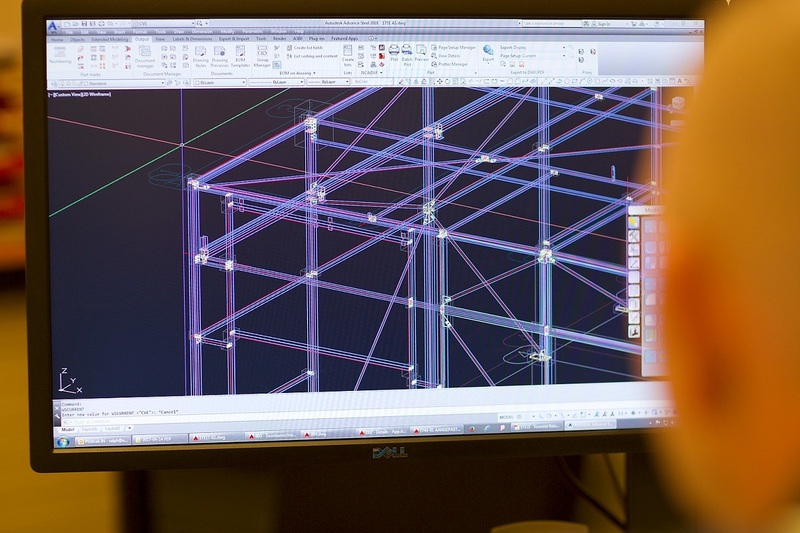 "For example, we are now working to create a link between 3D modeling in Tekla and computing in MatrixFrame". "This gives you a larger exchange of model information," says Hoonhout. Thanks to the open structure of MatrixFrame, Vercion does not need the help of Matrix. "We keep that specific information for ourselves." That is what sets us apart from the rest of the world. "However, Hoonhout asks for advice where necessary. "And then they are always willing to help me. The great advantage of Matrix is that there is a lot of knowledge and expertise about the engineering profession. That works very well: you do not have to explain everything in detail and they come up with practical and working solutions. "Hoonhout is a satisfied man. "Very satisfied. I could not think of any reason why I would not continue working with Matrix. We will continue for years. " 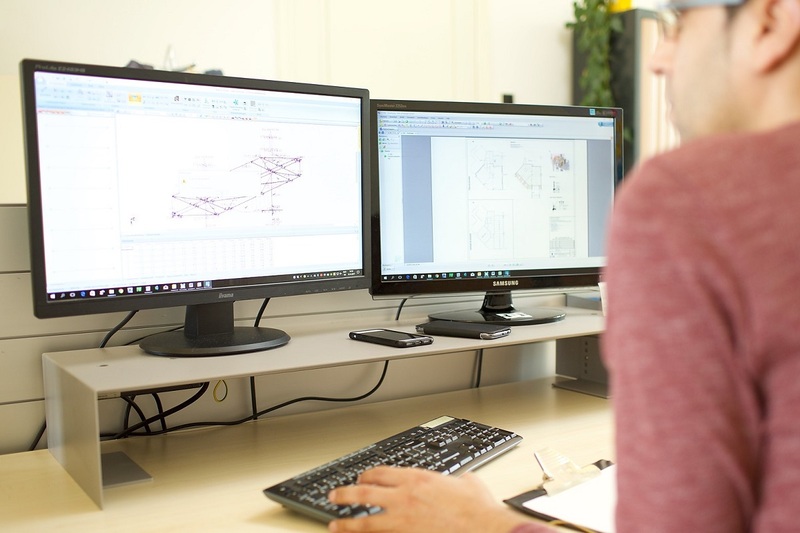 VeriCon from Veldhoven is an independent all-round consultancy firm for structural building constructions and designs, calculates and draws constructions for civil and utility construction. VeriCon is active in BIM and believes in industrial building. That is why the company is also active in the engineering of prefabricated concrete and steel constructions. VeriCon has an eye for architecture, user and environment in everything it does. 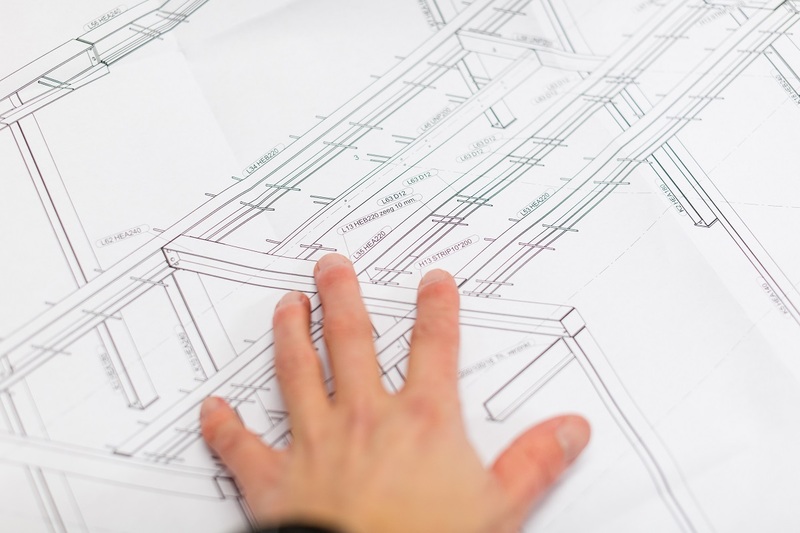 The engineers make economically and efficiently feasible, constructive designs and apply responsible, environmentally friendly materials wherever possible. Van Eekert Constructies has been a professional partner in construction for 40 years. The transfer of day-to-day management by founders Peer and Nel van Eekert to their sons Rob and Dennis prompted new strategies for the future. Rob van Eekert: "An important point of attention was the automation within our company. We had never really taken the lead in this, but we did feel the need to become more 'future proof'. We studied the subject matter and came to the conclusion that Matrix would be best able to help us further. "Van Eekert has not chosen Matrix at a late stage, is not surprising. Van Eekert: "Father started with dump trucks and slurry drums. There was not much calculation involved. The activities have gradually expanded to stairs, balustrades, roof and wall cladding and the larger steel constructions. But the calculation was still done mainly by hand. At the end of the 1990s we switched cautiously from 'the shelf' to Autocad. We worked with a DOS version of Unit4 for accounting plus a separate drawing program. So when we received more and more requests for more complex steel constructions, something had to be done. In 2014 we finally made the switch to MatrixMetaal and we are happy with that! " Van Eekert now has four Matrix Metal licenses, which provide a lot of convenience and efficiency every day. In terms of accounting, the ERP software provides, among other things, time registration, quotations and order processing. "We just do not use it optimally," says Van Eekert. "For example, we use the link between quotation and order, but booking time is another thing. And so there are other functionalities that are present in MatrixMetaal, but which we still need to optimize. We are well aware that it does not work automatically. In fact, if you throw rubbish into it, you also get rubbish out of it. So you have to learn how to deal with it and even if Matrix works so simple, everything needs its time. Our order portfolio is currently growing so strongly that it has priority for us. For the moment MatrixMetaal is already relieving us enough, the rest will definitely come. " 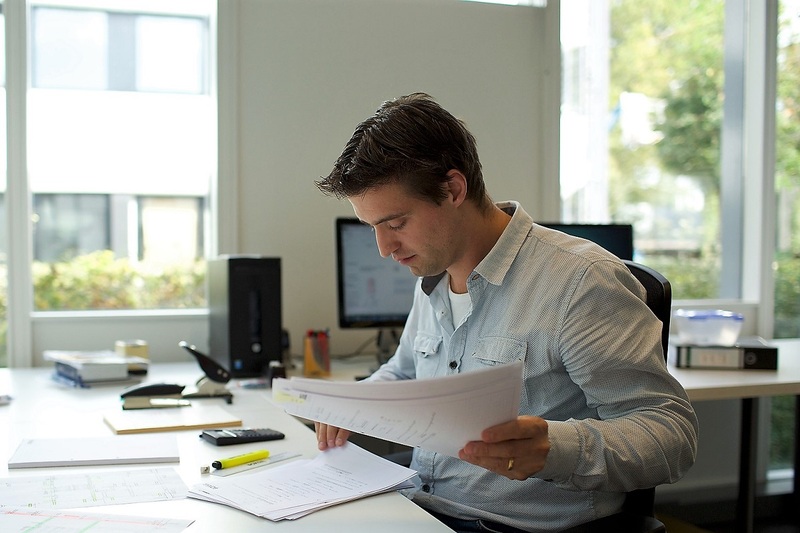 Especially in the drawing department, Matrix's software is experienced as a relief. Van Eekert: "Our artists work with Advance Steel, an extensive 3D drawing package. A huge improvement if you compare it with the 2D AutoCad that we had first. We are now more concerned with entering variables than with drawing oneself. The drawing actually makes itself and that saves us a lot of time. Thanks to a link with our CNC-controlled saw / drill line, the drilling of holes and cutting on length is also fully automated. 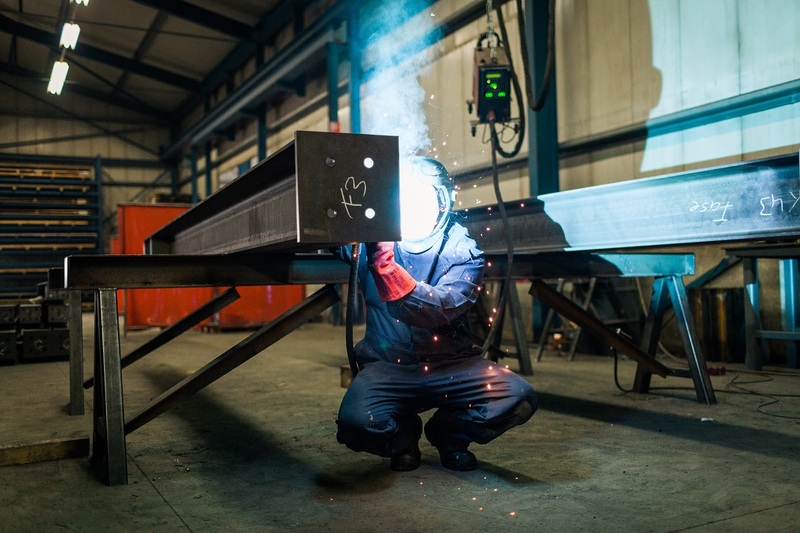 Then we can easily weld all structural parts such as head and foot plates. We only have to make the link with the order registration, but that is a matter of time. In MatrixMetaal it is already prepared, so I do not worry about that. "Sufficient support In order to be able to work well with Matrix right away, Van Eekert did not go ice overnight. The artists were four days on course to Matrix in Nijmegen and the calculators two days. "That has helped us well on our way. You can see and experience better how something works than to get everything out of a book. And even then there are always questions left, especially in the beginning. So we also regularly called the helpdesk. The nice thing was that we got the same people on the line who also gave the course. They knew exactly from the hat and the edge. Then you keep the lines short of course. " 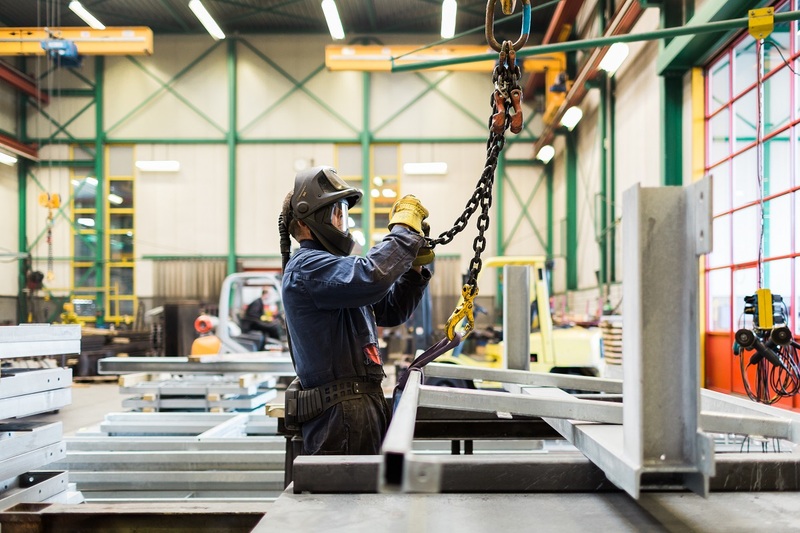 Van Eekert Constructions in Bladel (1978) has been specialized for 40 years in the production and assembly of customized steel constructions, steel staircases and balustrades. The steel parts are produced according to the NEN1090 standard so that all end products have a CE mark. 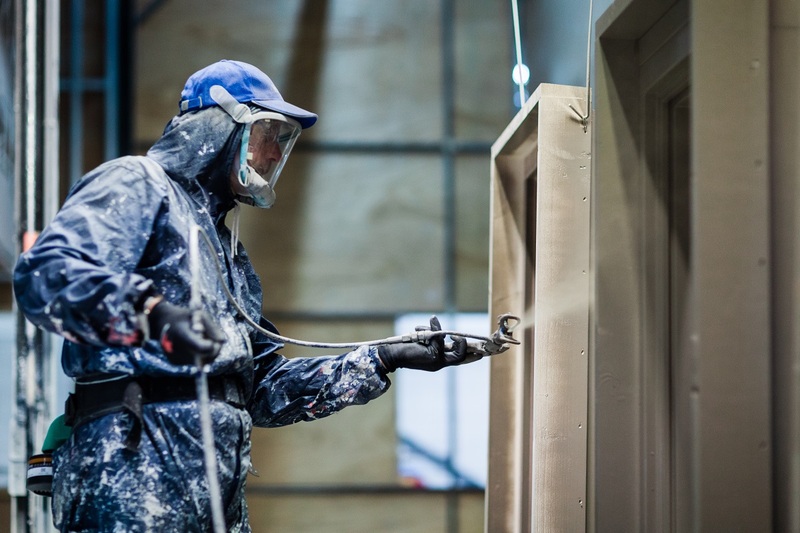 The company also supplies and assembles roof and wall cladding at work, especially for asbestos removal. 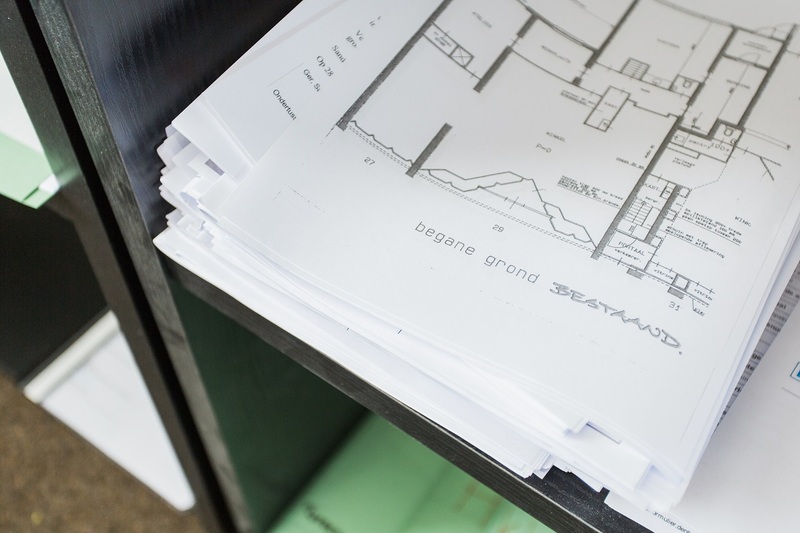 The assignments range from large-scale (such as the new building of sports halls and schools) to small-scale ones (such as a renovation or new construction of a house). 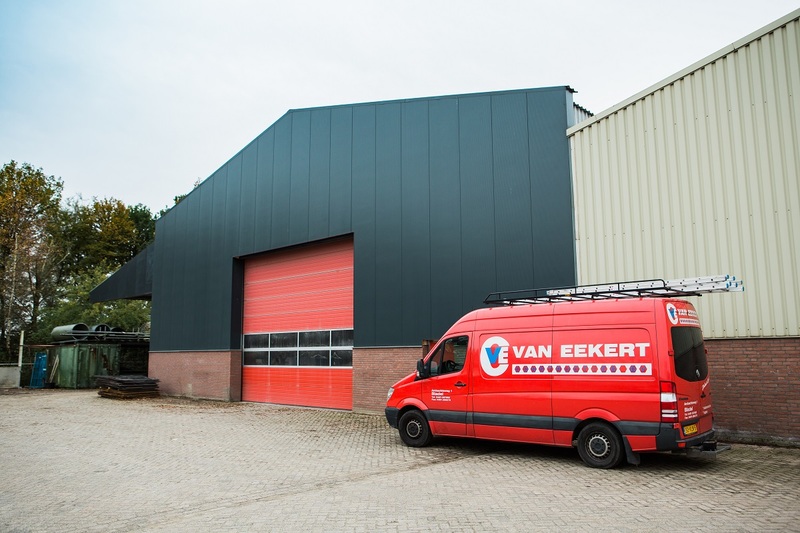 With 15 employees involved in internal and external service, Van Eekert gives 100% personal attention to every client, from contractor to private individual. Because no assignment is the same, customization is the rule rather than the exception. Nico Wiersma can not imagine how he could ever work without the Matrix software. The director and co-founder of WHB Sneek Timmerfabriek now knows from experience how much time and cost the use of Matrix saves him. "Since we opted for MatrixKozijn, the efficiency of the entire production process has improved considerably. Moreover, the risk of errors is reduced to a minimum. An important advantage of our prefabricated products and that is what our customers think too!" Wiersma does not hide his enthusiasm about his choice for Matrix. "In the beginning we worked without software. Believe it or not, we then made quotations in Word and had to calculate the door, window and glass sizes themselves. But that did not last long. We noticed that competitors who automate quickly took the lead. So we purchased MatrixKozijn within a year of our start. And we have not regretted it for a second. It was, of course, an investment, but a very good one!" Manual calculation and quotation work has not been available for Wiersma ever since. "MatrixKozijn just has everything on board to make it easy for us. And the beauty is, it works just the same for everyone. I mention something: where the one chooses standard for slot A, the other person prefers slot B in his doors. If you enter that type of details and preferences neatly for the first time, you fill in your software with data as it were. And the longer you work with that software, the 'richer' he becomes. Eventually it becomes a kind of library, from which you can generate all kinds of data quickly. Plus a constant price. A frame tender for a complete house you do in about half an hour. Complete with neat order confirmation on an A4 paper." 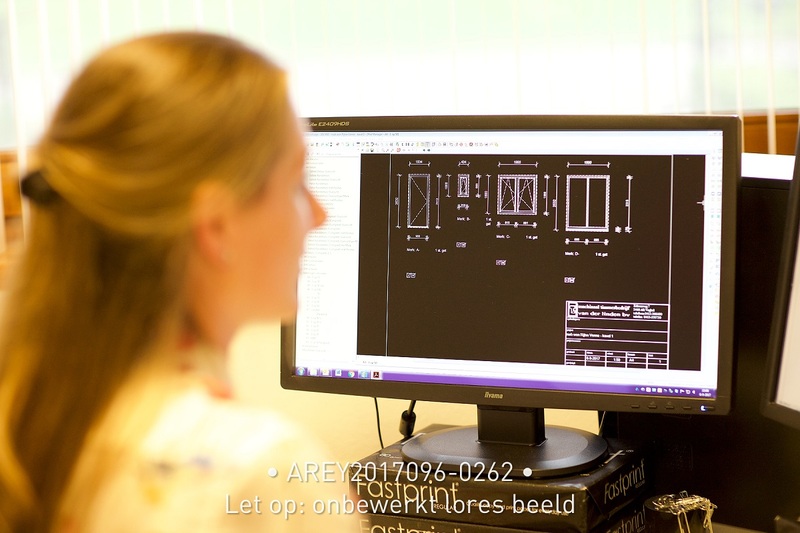 For several years WHB Sneek has a CNC-controlled machining center. A machine that is standard equipped with its own factory software. "But we did not think that was useful," Wiersma says. "The chance of errors when transferring data is considerable. And you're just doing double work. You can immediately see that in the extra man hours, while your machine is also stationary. 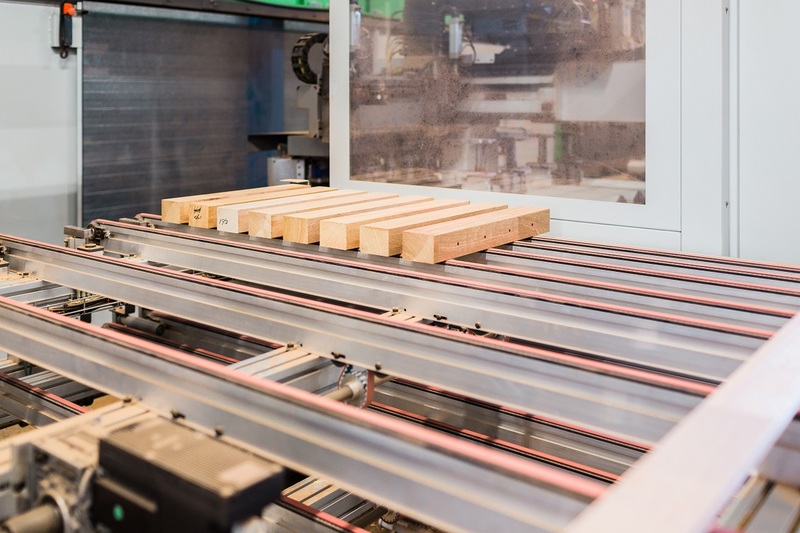 We have therefore chosen to equip our CNC machine with MatrixKozijn CNC, especially for wooden frames. This means that everything is perfectly coordinated. The drawings from MatrixKozijn go to the customer for inspection and after approval we send them to the CNC machine for production. Speaking of efficiency ..."
Although the Matrix software is very user-friendly, not everyone can work with WHB Sneek. "You have to get a good look at it," says Wiersma, "and that time can not just be missed by our employees. Is also not necessary, because who wants to know something can call the helpdesk of Matrix unlimited. Especially at the start we had almost daily questions, then we were always called back the same day. Because I work daily with Matrix, I also notice immediately what can be done better. The link for control of the counter is such an improvement point. Or the integration of finger welding, for lengths that do not fit on our machine. Matrix is ​​completely open to that and if it can do something, she can do something with it." Timmerfabriek WHB Sneek is a real family business. 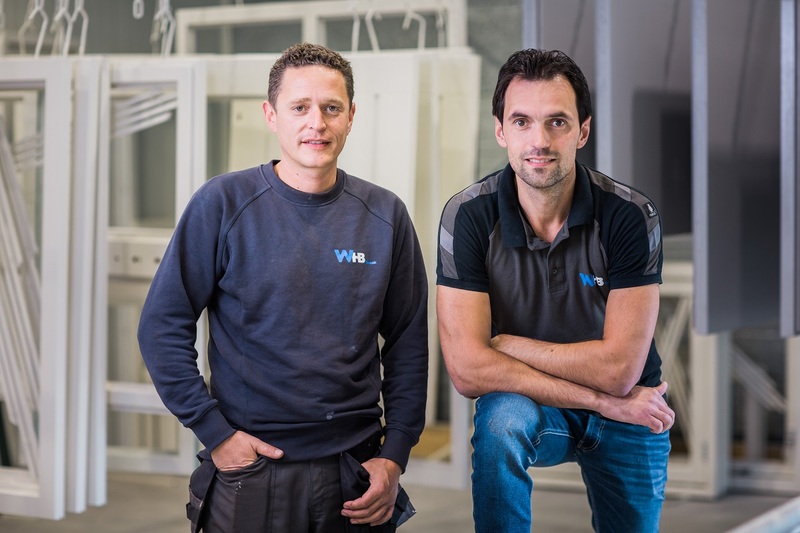 Founded in 2008 by the two cousins ​​Wiersma, the company is known as a reliable partner for small construction companies and self-employed entrepreneurs. 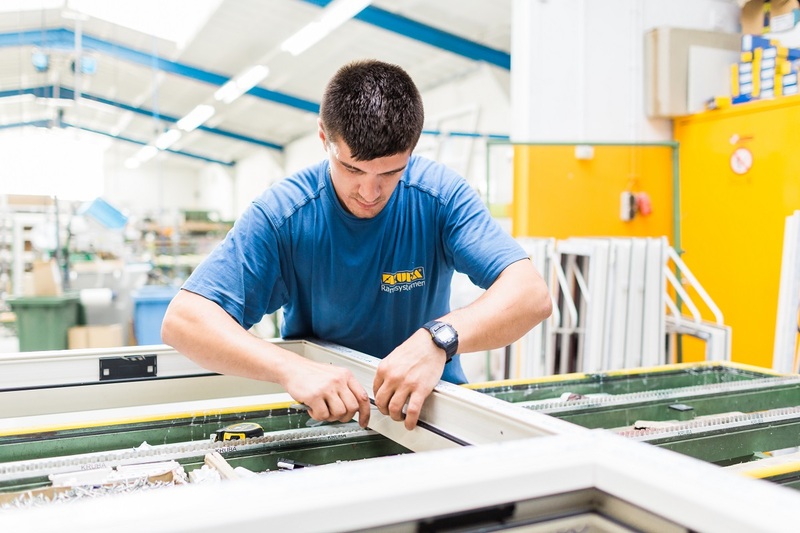 In our own factory a small but driven team produces high-quality window frames, windows and doors to size and delivers them with or without glass. In addition, environmentally-friendly wood species are used extensively. 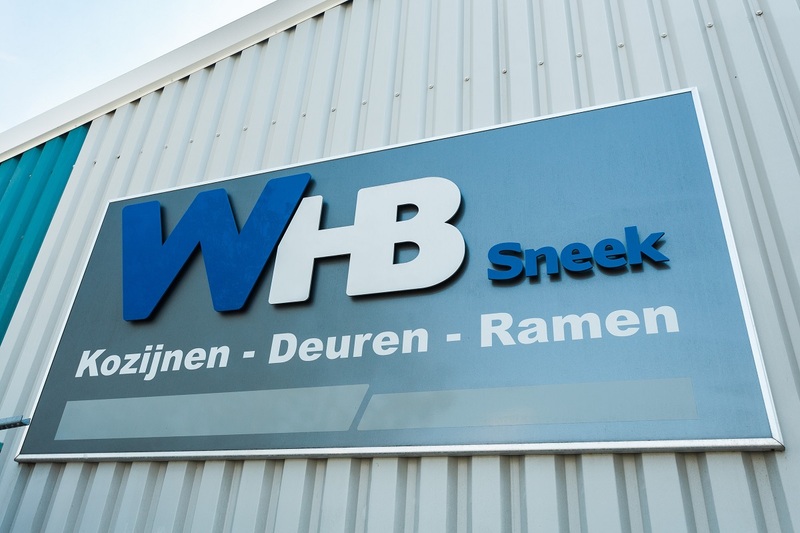 WHB Sneek has everything it takes to deliver not only large batches, but also small series and even individuals in ever-changing sizes. The specialists at WHB Sneek know and exploit the infinite application possibilities of wood as a building material for residential and non-residential building projects. Thanks to this extensive expertise, clients know that they can always expect the highest quality. The products of WHB Sneek are successfully applied in the most diverse new construction and renovation projects. They provide excellent software. The price quality ratio is very good. They provide excellent software. The price/quality ratio is very good. Berkhout Tros Bouwadviseurs from Alkmaar came into contact with Matrix Software years ago by accident. Both the engineering office and Matrix Software were on the eve of small mergers and acquisitions. They have not let go since that time and have grown up together. Director Rob Tros: "We know each other through and through." Matrix software company acquired CAE Software. CAE Software provided the software that Rob Tros and his people worked with for years. "To our complete satisfaction, because everything went fine." So he was somewhat skeptical when Matrix took over the role of software supplier. "But from the very first moment, we had a perfect match", says Tros. MatrixFrame, MatrixTools, MatrixGeo and CAD software. Berkhout Tros uses almost all structural engineering software developed by Matrix Software. "It's great to work with all these programs," says Tros. "They are practical and user-friendly; it works like a well-oiled machine. "In order to ensure that the oiled machine continues to run, a number of Berkhout Tros employees follow training courses at Matrix on regular bases. "We only do that with major updates," says Tros. "For example during the introduction of the new Eurocodes. That is so much new information, too much to figure out for yourself. "But also Matrix learns from Berkhout Tros. "We frequently have acted as a guinea pig. We then test a so-called beta version and see what works and does not work and where improvements are needed." Although Berkhout Tros has been using Matrix software to his full satisfaction for years, he keeps his ears and eyes open. "Of course you have to keep an eye on what competitors do. Not only for the price, but also in terms of programs and technology. I would like to keep up. "Tros has had several conversations with other suppliers. And yet Matrix always came out as the winner. "They deliver great software for a reasonable price. In addition, Tros praises the software company mainly for its short communication lines. 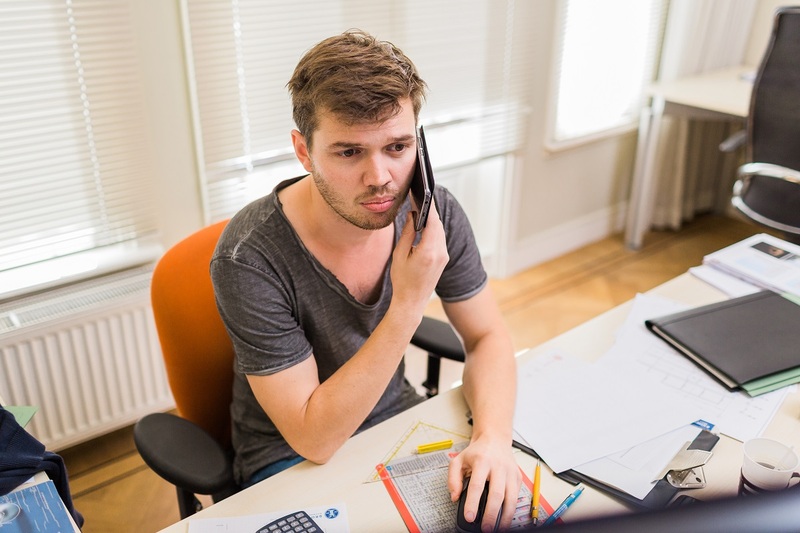 In case of a question or a problem, I have someone on the phone and it is solved quickly. The people behind Matrix are very friendly and have a lot of knowledge. I appreciate those qualities. "However, Tros also wishes:" We would like to use Matrix's analisys software within 3D modeling software. Something that we are doing a lot. Matrix knows my wishes. "I now know that it will be arranged in the coming version. That again confirms that Matrix is ​​doing well. " Berkhout Tros Engineers Alkmaar is a medium-sized engineering firm that designs, calculates and draws structural constructions. This involves concrete, steel and timber constructions in various sectors ranging from residential construction to renovation, from small to large projects (more than 25,000 m2) and from private construction to non-residential construction. Berkhout Tros has been using Autodesk Revit package for many years. With the help of this software the construction of the project is worked out in 3D and all parties involved get faster and more efficient insight into the components to be built. The company has more than twenty employees. All of them have constructional and architectural knowledge and are therefore perfectly capable of thinking along with other - such as building physics and installation - technical disciplines. The company has a flat structure that enables it to respond quickly to questions and (un)expected situations. I'm member of the club for over 30 years. 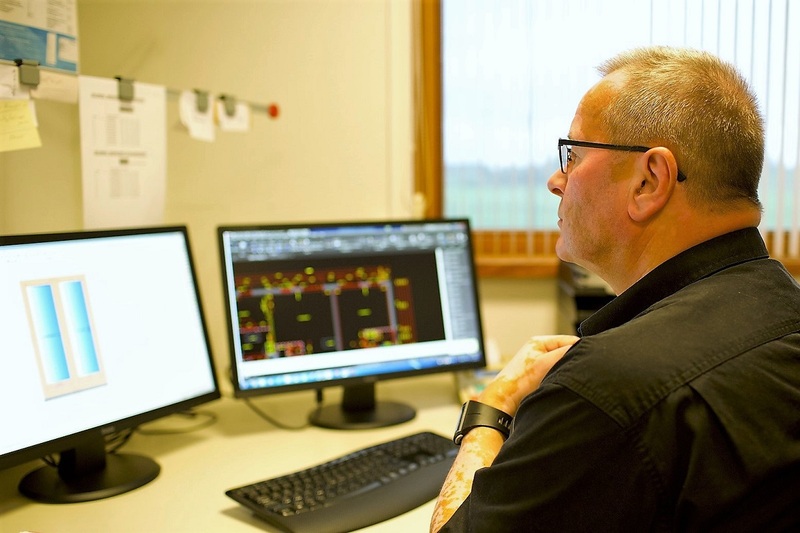 For many years, Roelf Ritsma, director of Ritsma Engineering Company in Stadskanaal, has been an avid user of almost all Matrix software available for engineering firms. "My 'membership' is at least thirty years old. That does indicate that I am a satisfied user. "However, he also observes a negative tendency: there is too much blindness on that software. Or as he himself says: 'on the computer'. And that's not a good development, he finds. Ritsma thinks that nowadays too much is being blinded on 'the computer' and that too little attention is paid to professional knowledge, common sense and the old-fashioned calculations on a calculator. "Call me old-fashioned, but manual calculations are indispensable. Also in this time. 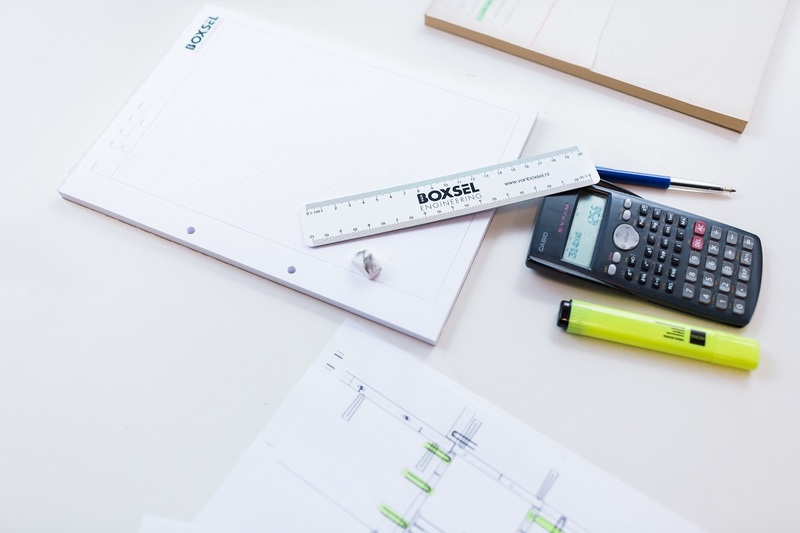 You have to be able to calculate your first design sketch quickly with your pocket calculator. Many young engineers who come to work with us can not. No attention was paid to old-fashioned analisys on their training. We have to learn them. "Software uses Ritsma for the details. "With Matrix software you can go deeper into the material and into details. In my opinion, it should be used in this way. "The software must therefore be practical. "Simple, fast effective and efficient. The Matrix software meets all those requirements. " The director has a warm relationship with Matrix. "I came to them by chance. Our software supplier at the time was taken over by Matrix. I automatically switched over and never left. "Ritsma particularly praises the knowledge and expertise of the helpdesk. "If we have questions or problems, they are easy to reach. They are quick, knowledgeable and come to realize what they promise. That is worth gold for us. " Ritsma Engineering exists since 1975 and calculates and draws steel, concrete, wood and stone constructions of construction and water projects in particular. In the more than 40 years that they exist, they have delivered more than 9,000 projects. Fire stations, hospitals, offices, warehouses, schools, restaurants, shopping centers, theaters, amusement parks, sports canteens, bridges and homes belong in that list at home. The company also provides soil mechanical advice for foundation and sheet pile constructions and tests building structures for the government. The engineering firm employs fifteen employees. In 2018 Matrix Software acquired the company iTConcrete. iTConcrete specializes in CAD/CAM software for precast concrete floors and concrete walls. 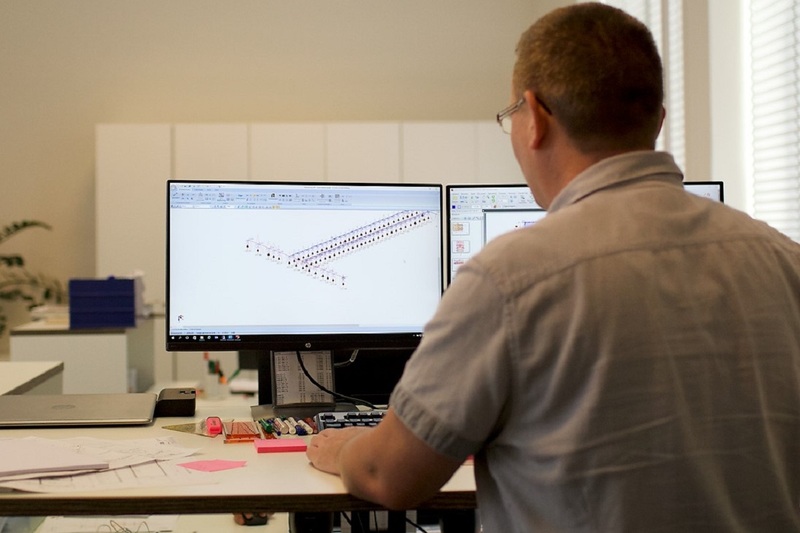 The software program IC-Prefab supports the engineering of wide-plate, rib cassette, channel and combination floors and hollow and solid walls. Matrix has the ambition to further expand the products and services for prefab concrete factories. We will soon invite some of our leading users of IC-Prefab to contribute to this section "Customer experiences"
Although KUFA Window Systems is still a relatively young company, it is in the Benelux already firmly on the map as a specialist in plastic frames. In short In this area, various breakthroughs have come about and the ambitions of this frame pioneer continues. Director Henk Weber does not just want the market serve, but also initiate and anticipate new developments future needs and applications within the sector. "Innovation is for KUFA therefore no side issue but a precondition, "he says. "And there is the close one collaboration with Matrix a good example. 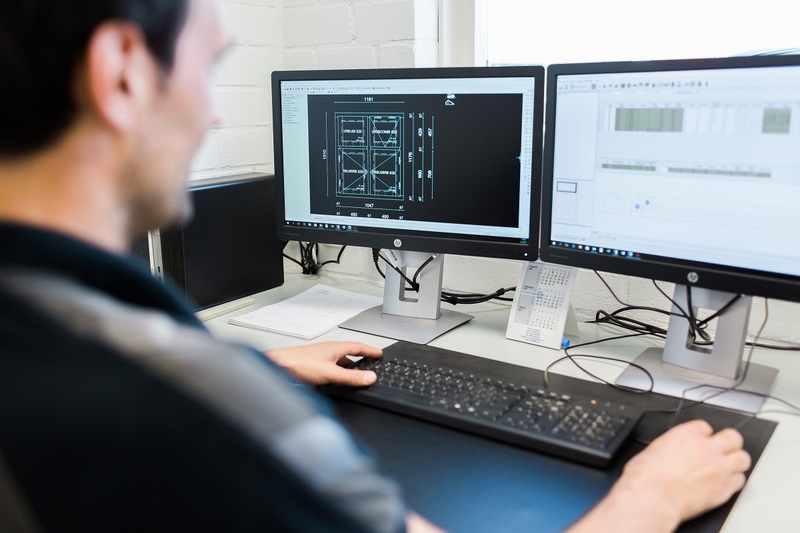 "Since the start in 2009 makes KUFA intensive use of MatrixKozijn for the department calculation, work preparation and the CNC machine control of the production. According to Weber "A smart and balanced software program that is fast and efficient can perform some essential calculations. Only this software runs traditional on the PC, while the market at one point asked for one online application. We have raised this with Matrix and that is one of them joint initiative to create the online brother of MatrixKozijn develop. Internally we use our own product name for it, but with Matrix is called the WebKozijn. " With this online tool, individuals and resellers can go online make calculations and orders directly from KUFA. After ordering, the frames produced directly via the CNC control from MatrixKozijn. Weber: "It is a handy online quotation and calculation module, which we use manage the order process with our partners step-by-step. There they are huge helped, because often they do not have their own order or quotation system. Thanks to WebKozijn, we can easily facilitate this and that is how we are more than just a supplier of window systems. The system is also everywhere available: one login code and you're in it. " WebKozijn is an open and transparent system. All aspects of it order process are processed in the online step-by-step module. That makes the calculation made of plastic frames amazingly simple. "In a few simple steps you go through the process from customer request to quotation to order ", clarifies Weber. "You pass on a few things, such as dimensions, kind glass, colors of window frames and turned parts. And then the quotation rolls as it were that way. Suppose the customer adjusts a frame height, so that there is one somewhere part comes with, then immediately changes the price. We also send via WebCoach all machines within the production process. The orders are so really tailor-made and you immediately see the actual price. You can do that you immediately order accessories and other additional products. " WebKozijn is the solution for everyone who is a regular business plastic window frames needs. "With this system, we have all the data ready to go fast able to produce and deliver. An additional advantage for our partners: they have with WebKozijn no costs for the purchase of your own calculation and offer package. That is a service from us. As a partner of KUFA you can immediately print out a ready-made offer with your own logo and within one program manage all your calculations and quotations. And do you want to be old-fashioned with us? 'Sparring' or keeping something up to the light? Then you can still use the mail request quotations and order from us. " color program, mainly to the business market (contractors, dealers and project developers). The range consists of very high-quality and attractive window frames, not only in standard versions, but also in more exclusive series. KUFA guarantees a favorable price and a 'just-in-time' system with extremely short delivery times. 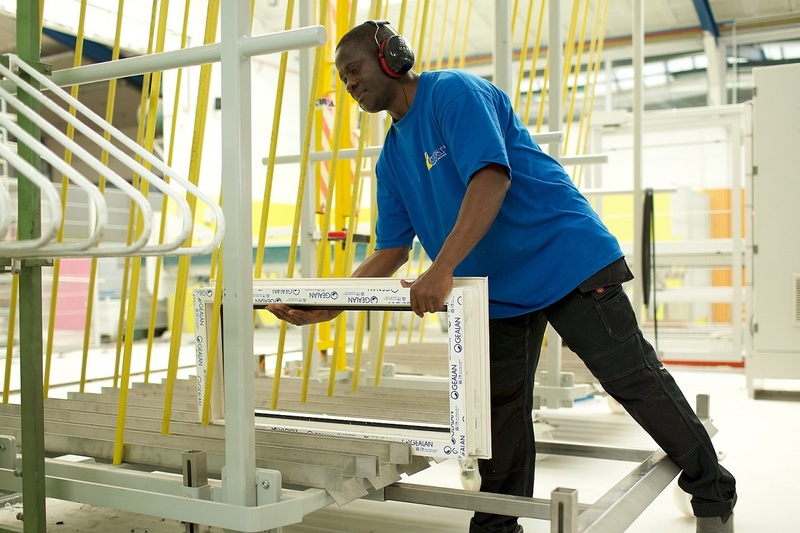 The quality of the window frames is guaranteed because everything is made in our own factory - from profile to end product. This also makes it possible to innovate further, which has led to, among other things the innovative single and double HVL® frame, the lifelike wood grain Realwood® and various KOMO certifications. 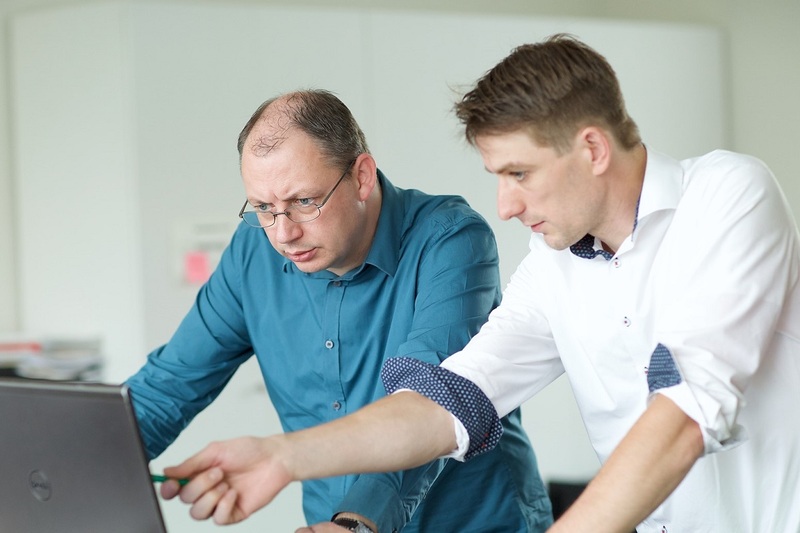 Find the KUFA specialists constantly looking for ways to improve the products and processes. Thanks to flat organization lines are short and customers can always be fast and expertly helped. Andries Broersma (62), director of Bureau Broersma, views the prominent role of software in his field with argus eyes. Certainly, he gratefully uses the possibilities of MatrixFrame for 2D and 3D frameworks, continuous beams and FEM floors. But he also believes that software should never limit the out-of-the-box thinking of creative minds. Man is leading, the software follows. A philosophy that is put into practice daily with conviction. For Andries Broersma, it is all about the question: do you want to use software for design or for checking? And his answer is clear: "You can never leave the design responsibility to software. How ingenious it sometimes is, you always have to have a form of inspiration first. Otherwise you can not push boundaries and are you not innovate! With software you can at most check whether your design and calculations are correct. Compare it to an Indonesian cookbook: there you will find useful directions, but for the finesse it comes down to creative cooking talent and 'Fingerspitzengefühl'. " Every innovation aims to reduce the margin of safety. In doing so, you always stretch something out. Software can make this process more efficient. "That's right," says Broersma, "but there are limits. As an avid sailor I also see boats that are increasingly driven by technology. Too much, if you ask me. I think you should not use software - including Matrix's - to steer, but to support. Then as a designer you always remain in charge of the software, you stand above it. For example, Matrix can not take the initiative itself to create a good building that arises in the brain and from the designer's feeling. When we dimension buildings, we first go on a voyage of discovery ourselves. Our limited creative space requires smart calculus to satisfy the architect and remain constructive within the margins. The software market often responds to our urge for innovation. In fact, we are the front troops of Matrix. " To work smoothly with software, it must be understandable for designers at every stage of their work. The possibilities of the software should stimulate and inspire them. Broersma: "I see that experienced designers pick this up faster, probably because they are able to calculate a lot themselves. Junior designers have more difficulty with that. I think it would not be a crazy idea for Matrix to think of a junior version of some software, as a learning environment. And also take a look at the manuals for the regular software. " Broersma is equally clear about the costs of Matrix Software. "Of course there is a price tag. But look at it through the eyes of an entrepreneur. Without wanting to go into details: if I have someone on the payroll for 80 mille, who thanks to Matrix 10% will perform better, I get it right out. You have to look not only at the cost price, but at the income effect in the longer term. And then I know! " 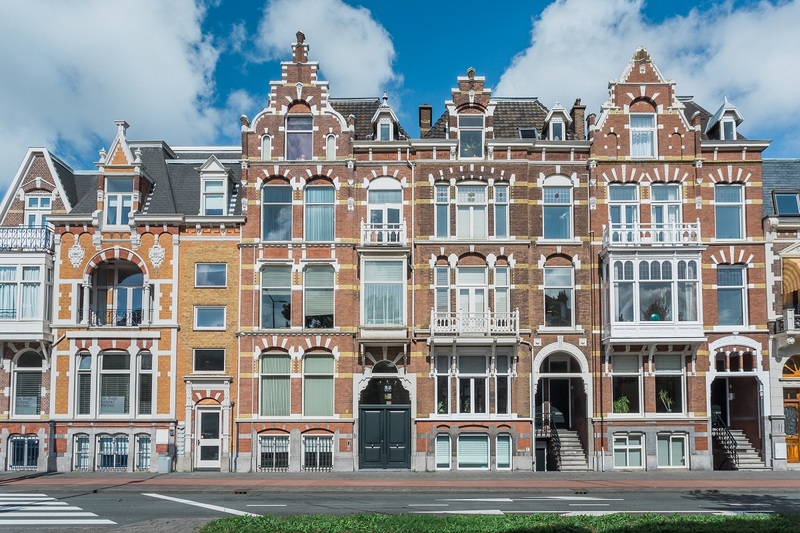 Bureau Broersma (The Hague) has been advising on the properties and performance of structures since 1956. About 18.000 projects have now been completed, previously mainly in concrete and steel, nowadays in all possible construction materials. The agency makes drawings and calculations of almost all common building constructions. The field of work extends from utility and residential construction to oil rigs and industrial and logistic complexes. From a permanent 'drive' to push boundaries, Bureau Broersma regularly offers internships. This allows experienced specialists to transfer their knowledge to a new generation, while the agency reaps the benefits of all the insights and innovative solutions that technical students introduce from their training. The whole of this knowledge is therefore greater than the sum of the parts, with which Bureau Broersma offers an important added value. Often the collaboration between Matrix and its customers goes back to the very beginning. This certainly applies to Van Roekel & Van Roekel BV, a major player in the steel construction industry for many years. 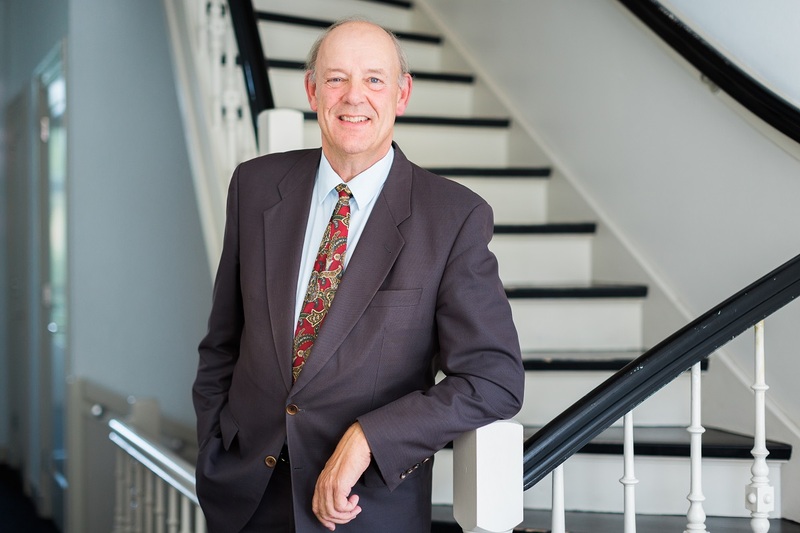 Anton van Roekel agrees that Matrix has always played a major supporting role within his office. "I think we have been working together since the beginning of the 1990s, still in the time of Matrix BouwRaam. But I've only been involved with the agency since 1996, so that's for my time. 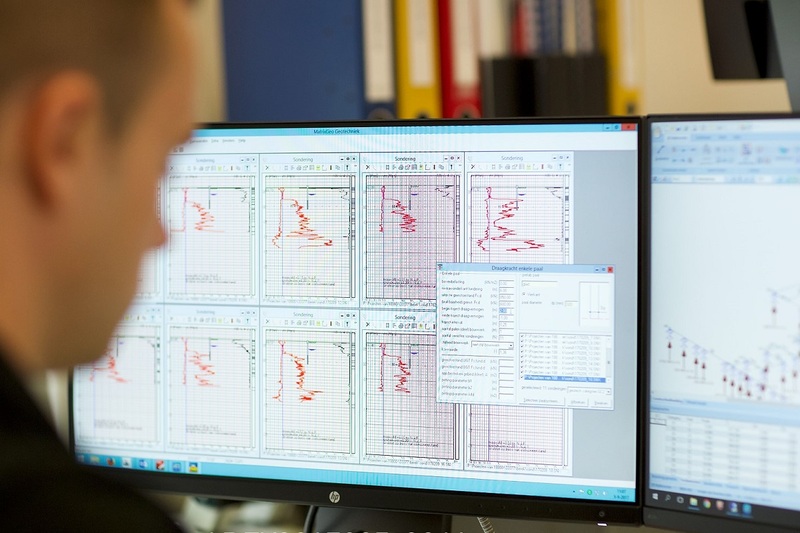 "Almost all engineers at Van Roekel & Van Roekel use MatrixFrame and MatrixTools intensively. "Every day", says Van Roekel. "Matrix software is the tool for us when designing, checking and detailing constructions. 80% of our 'sums' are made with Matrix. We can of course also make these sums by hand, but never as fast and good as with the software." 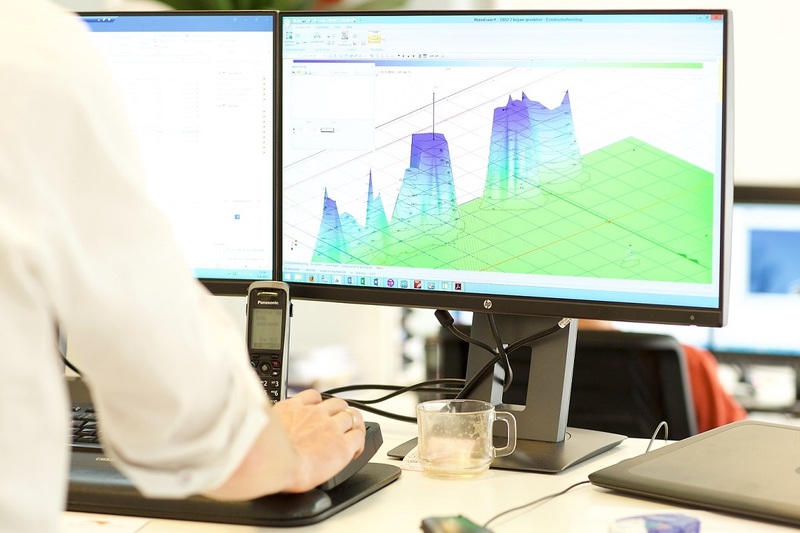 Van Roekel sees Matrix software as a reliable and fast tool that supports their own sense of constructions. "My approach is always that an engineer first thinks and designs himself and actually only tests this with a software program like MatrixFrame. The components of calculations that occur frequently (determining loads, safety factors, etc.) must be done very quickly and efficiently by the program. On the other hand, as an engineer, you have to be able to easily check the program and yourself again. And Matrix can do that." Although Matrix takes a lot of work off your hands, the software is not used for all calculations. Van Roekel: "In addition to Matrix, we also work with other very specific software and self-developed Excel programs. This is mainly to supplement tackling certain niche problems that Matrix does not foresee - nor can foresee. We sometimes face such unique challenges that it is difficult to capture it all within Matrix. Everyone can live well with that. Or as Matrix calls it: 'the carpenter has more tools than only a hammer'. Every software product requires habituation. So adequate instruction, guidance and support is a must. Matrix is aware of this and ensures that this is provided generously, is also the experience of Van Roekel: "We receive very regularly updates that sometimes even by our input come about. Matrix has a clear help function and if that is not sufficient, the helpdesk is always ready. The course offer is broad enough. As a company we have chosen to do an annual update training, in which the latest developments are discussed. This allows us to make maximum use of the software's potential. " Of course, Van Roekel & Van Roekel and Matrix have an excellent customer/supplier relationship. "After all these years," says Anton van Roekel, "Both sales, development, helpdesk and management are no strangers to us. But there's more. Just as we benefit from Matrix, Matrix benefits from our knowledge. It is a kind of interaction. By sharing our knowledge, Matrix can realize improvements in the software again. We see that happen regularly and notice that improvements that we have proposed in the past have also been honored. Sometimes it takes some patience, because not everything can have the same high priority. For a while now we have the reporting and the linking thereof with Office as a point of improvement on our list. An online environment, in which users can see each other's questions and solutions, has also been mentioned before. That way you relieve the helpdesk and keep your other users sharp. " 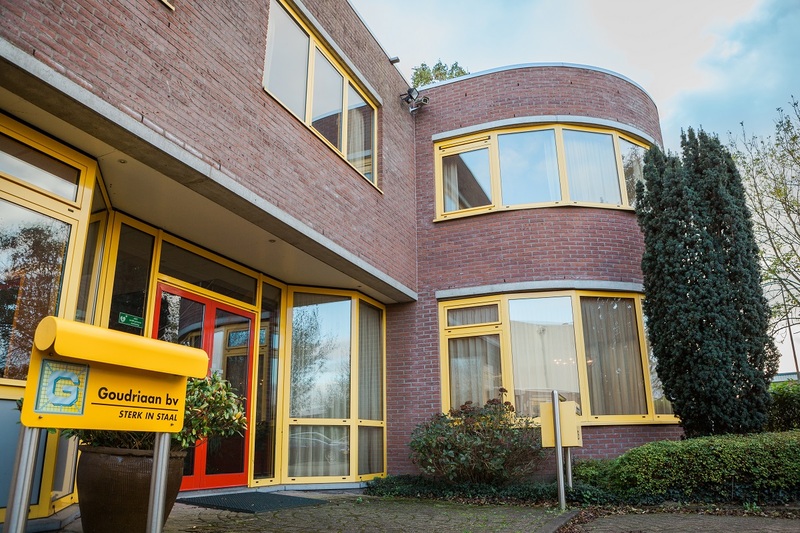 Ingenieursbureau Van Roekel & Van Roekel, founded in 1973, is an independent consultancy for civil engineering. The firm specializes in concrete, steel and timber constructions, foundations and geotechnical constructions. Clients include architectural firms, contracting companies, steel construction companies, project developers, housing corporations, chain stores, private individuals and industry. Architectural structures for buildings and constructions form the most important activity (85%), in addition to hydraulic engineering works (15%). Van Roekel & Van Roekel has always worked extensively for clients in the steel construction industry, creating a unique expertise. 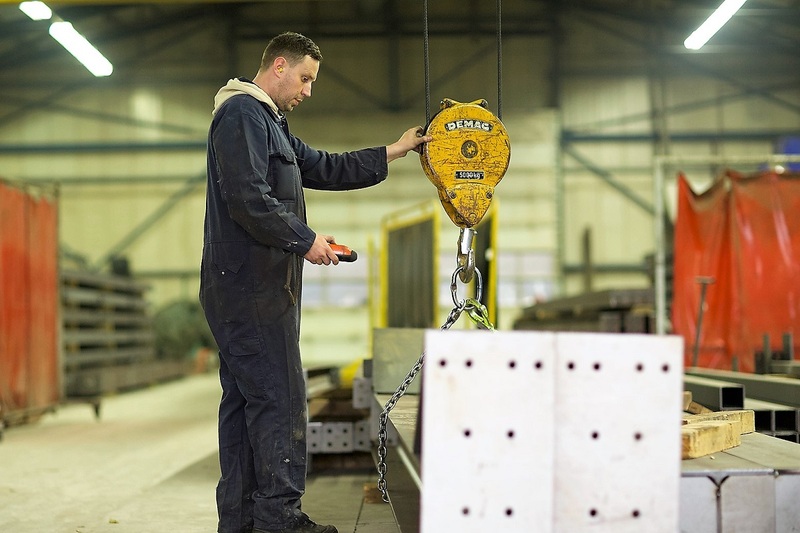 The firm handles the entire process, including design calculations for the calculation departments of steel companies, main calculations of the complete construction for the permits and the specifications, and detailed calculations of connections for the execution. 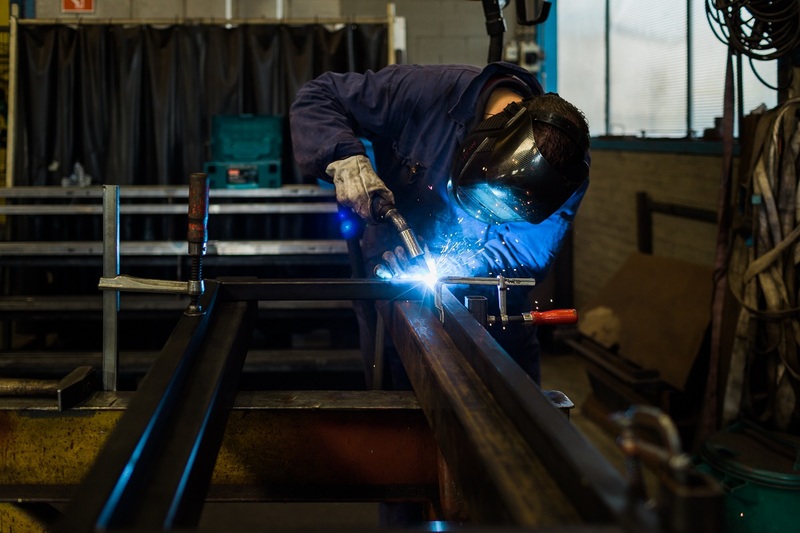 The agency also regularly makes second opinions or shadow designs for steel constructions in order to achieve a more economical or more feasible steel construction.